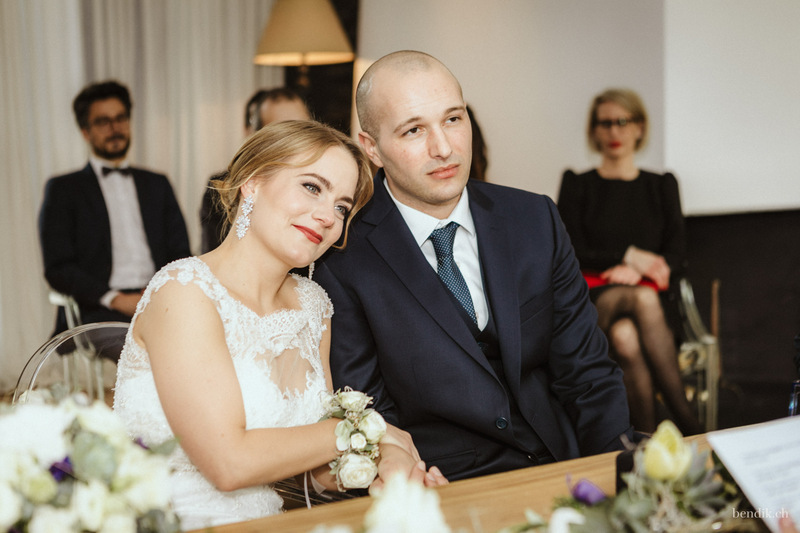 We met Tamara and Luca for the first time on an autumn evening in the Milchbar in Zurich, which, as always, was well attended. 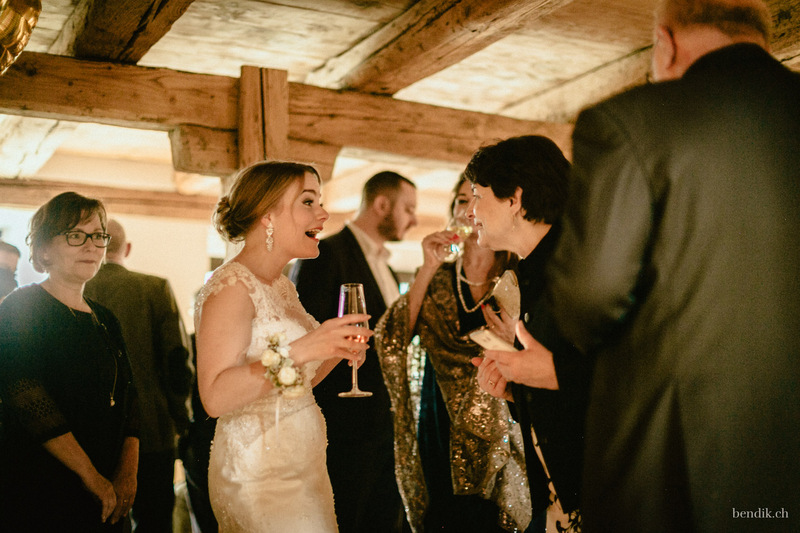 In spite of the loud chatter around us, we really had a great conversation with the two. 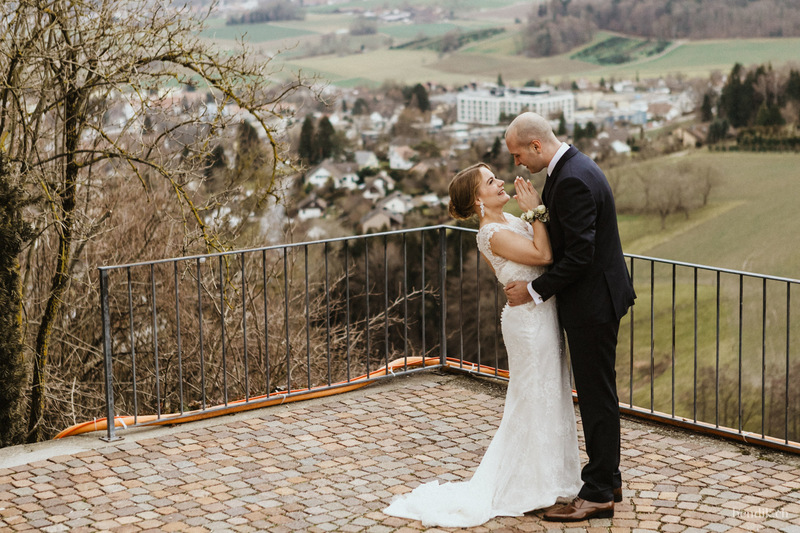 Accordingly, we were already looking forward to their wedding photo shoot in Regensdorf, which should take place in the really unique Hotel Krone. 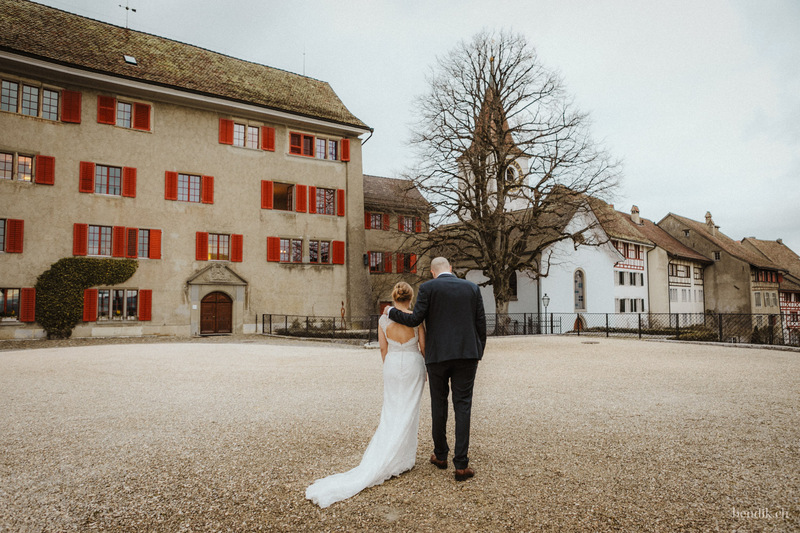 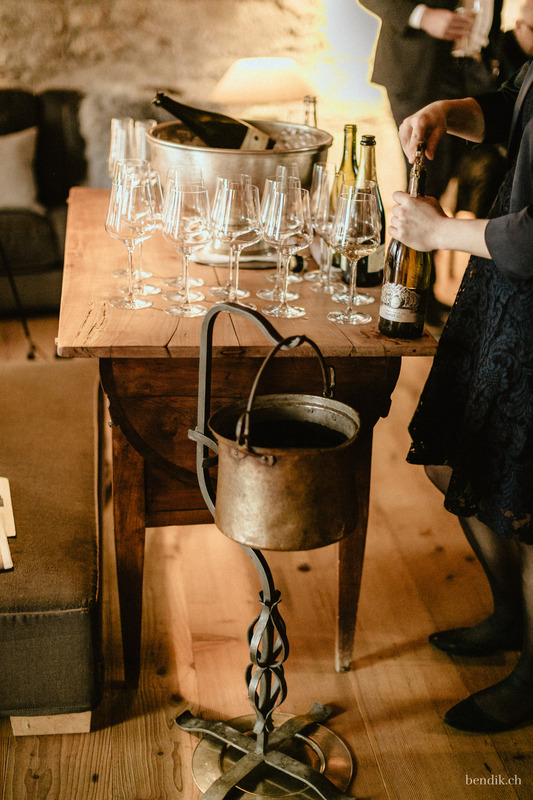 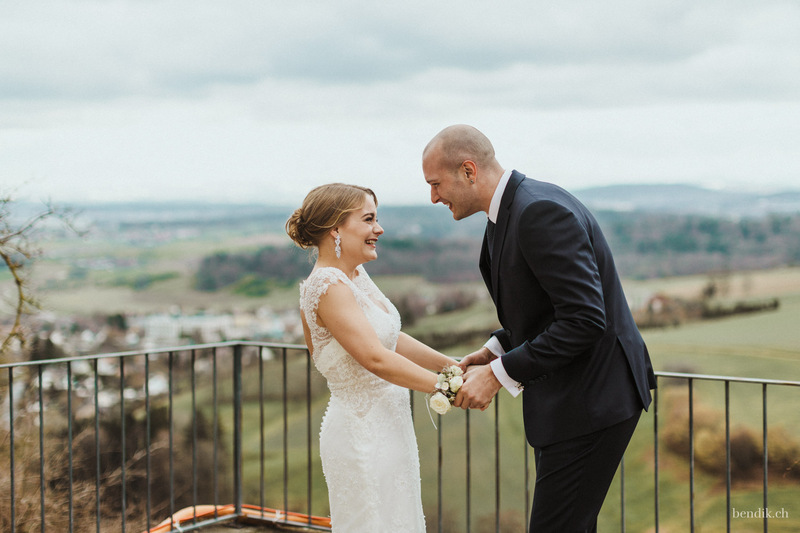 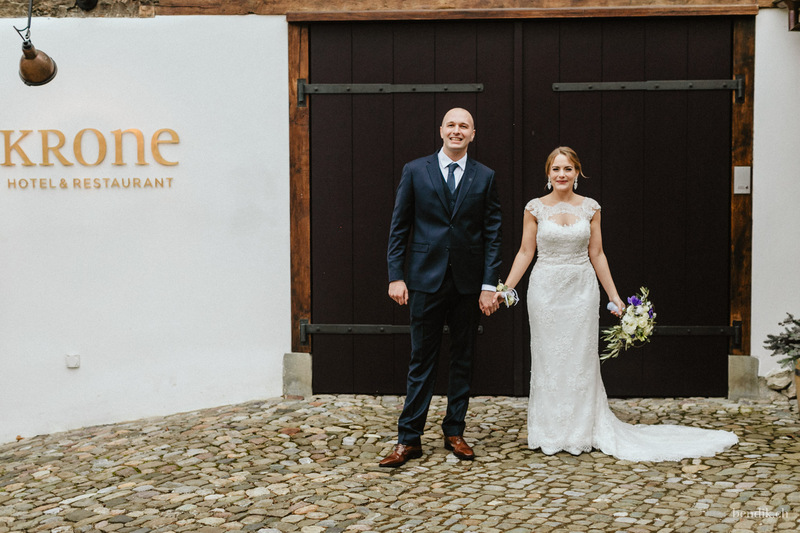 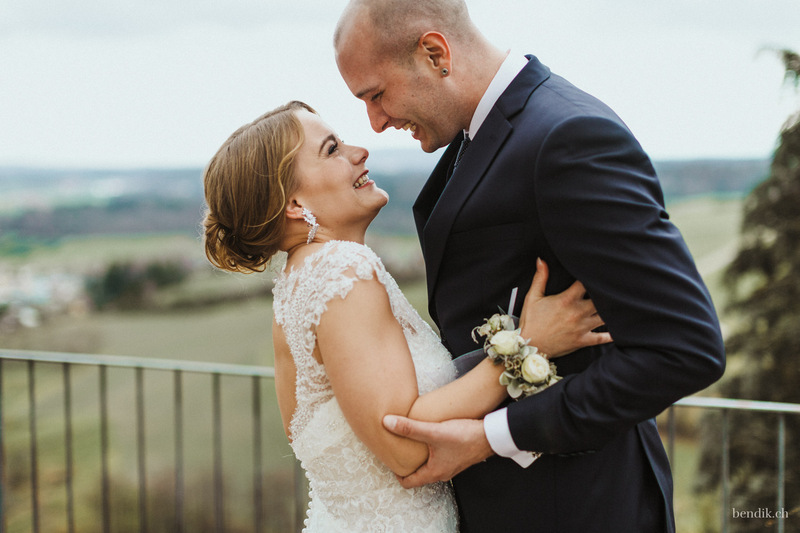 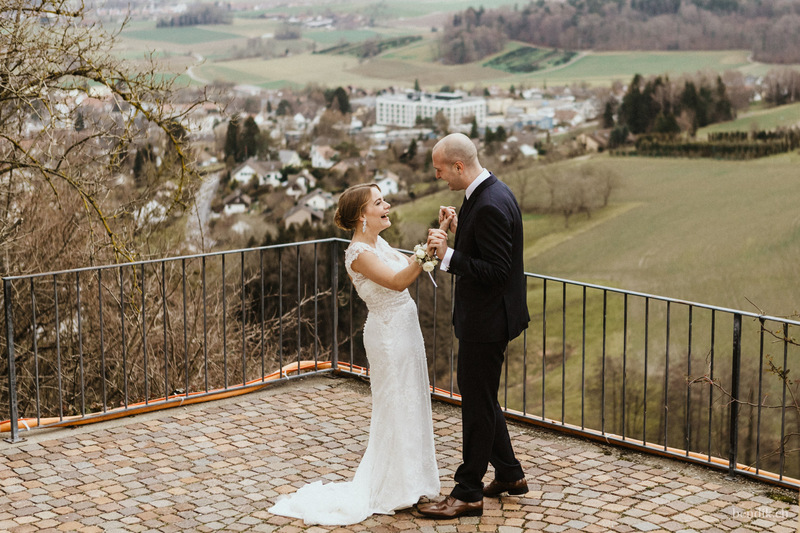 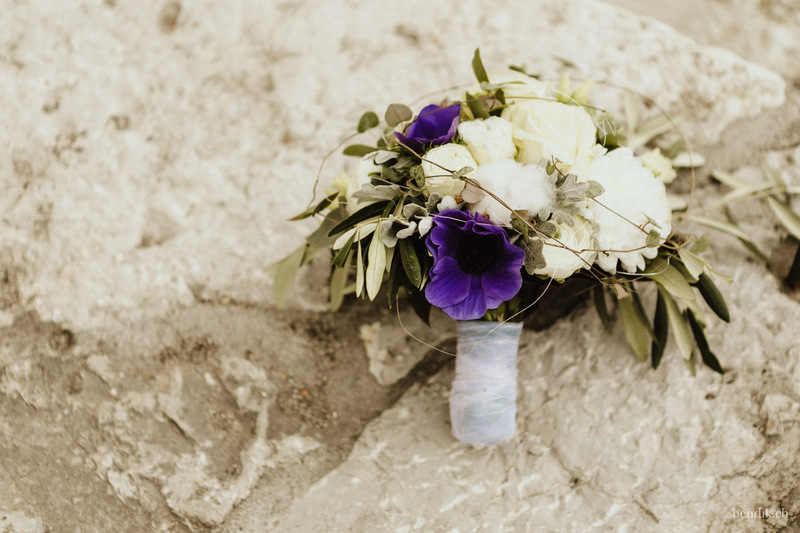 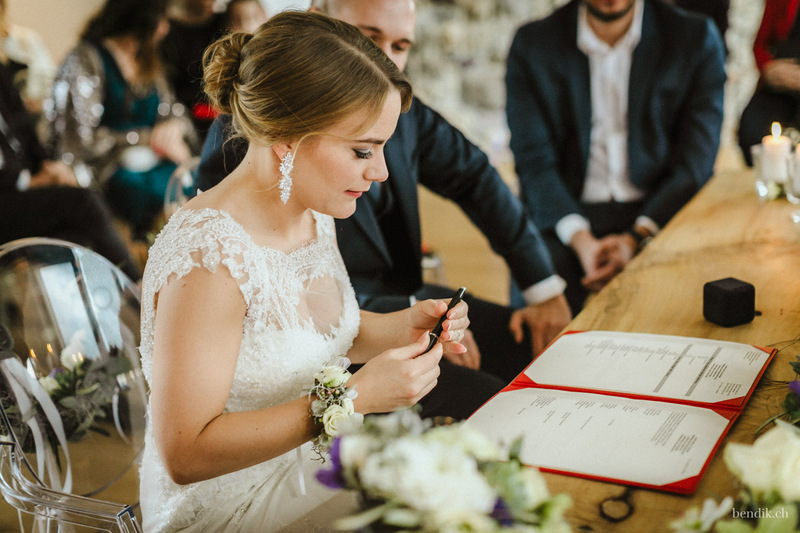 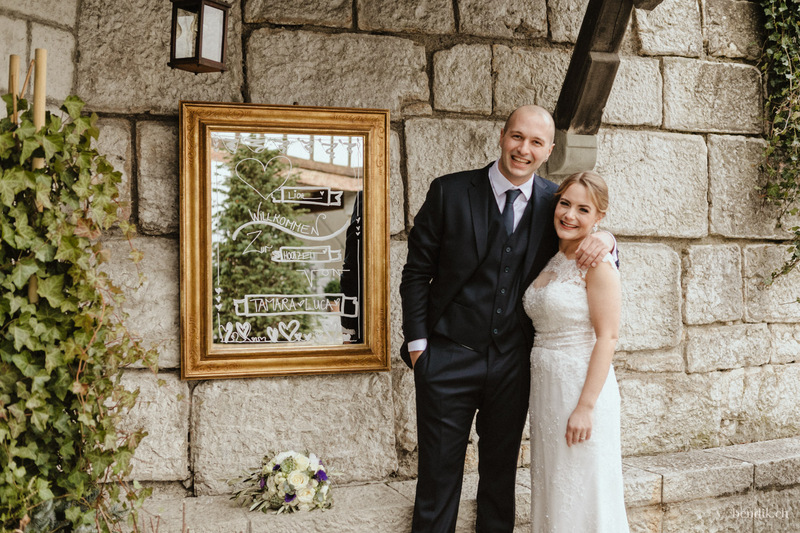 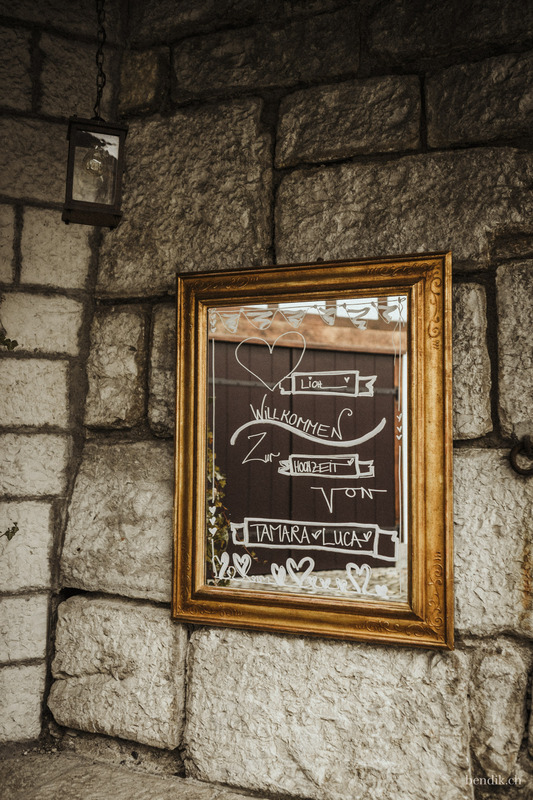 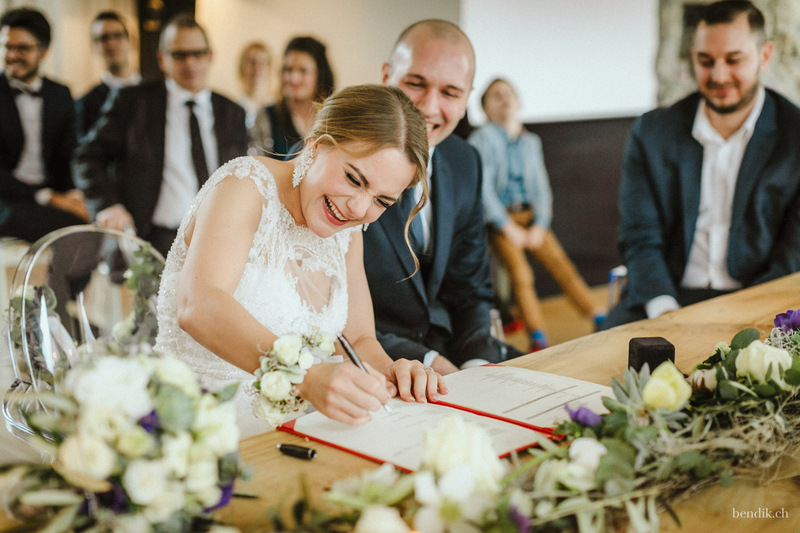 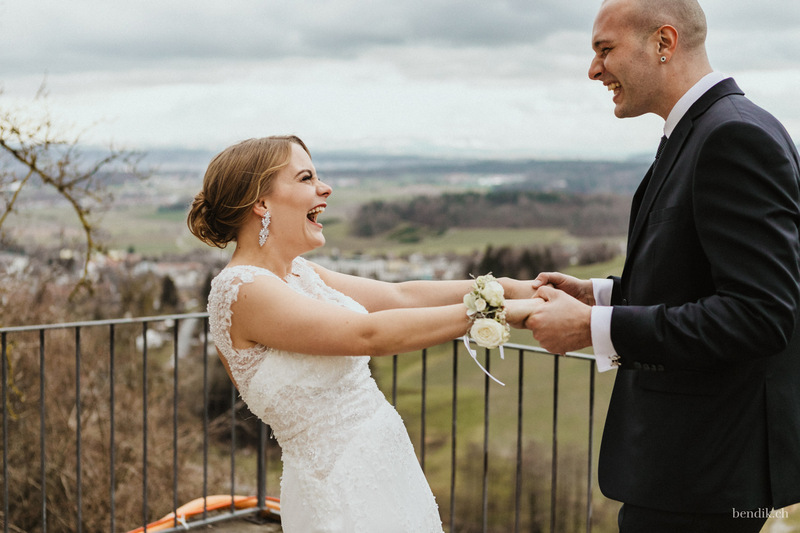 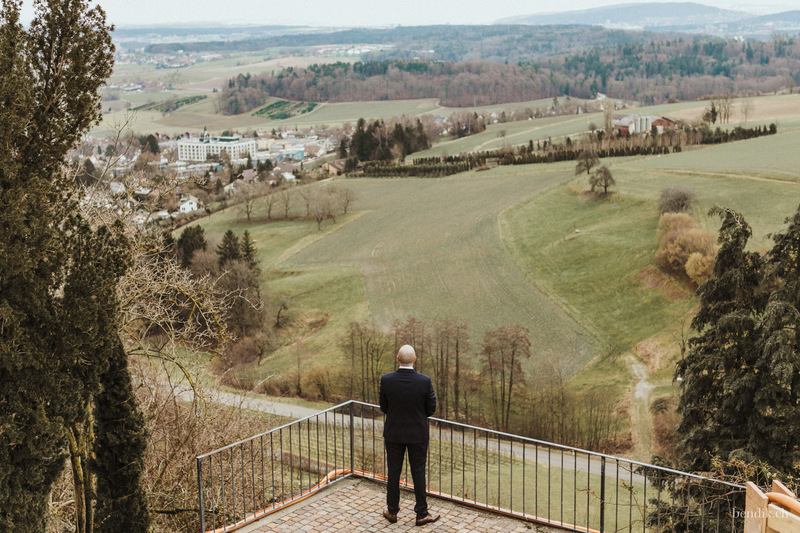 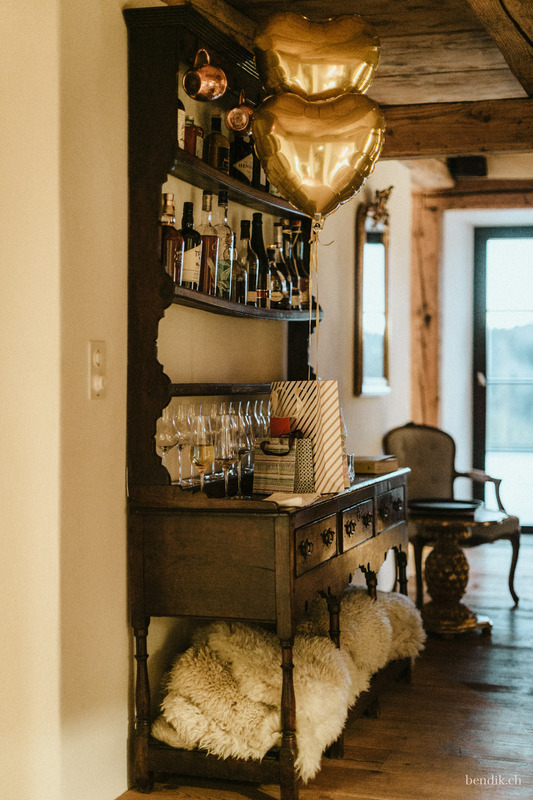 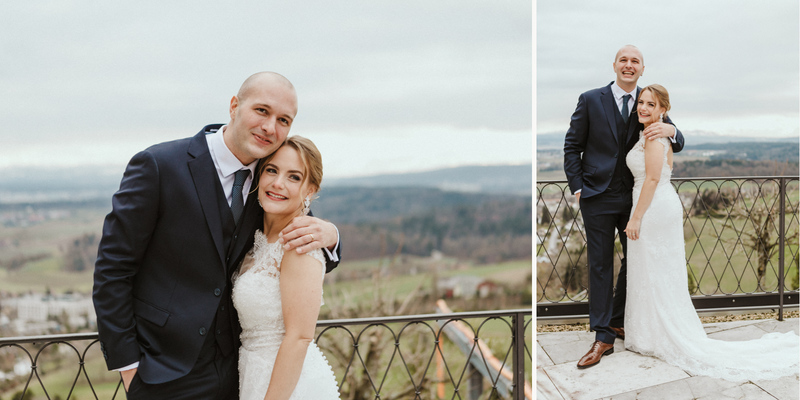 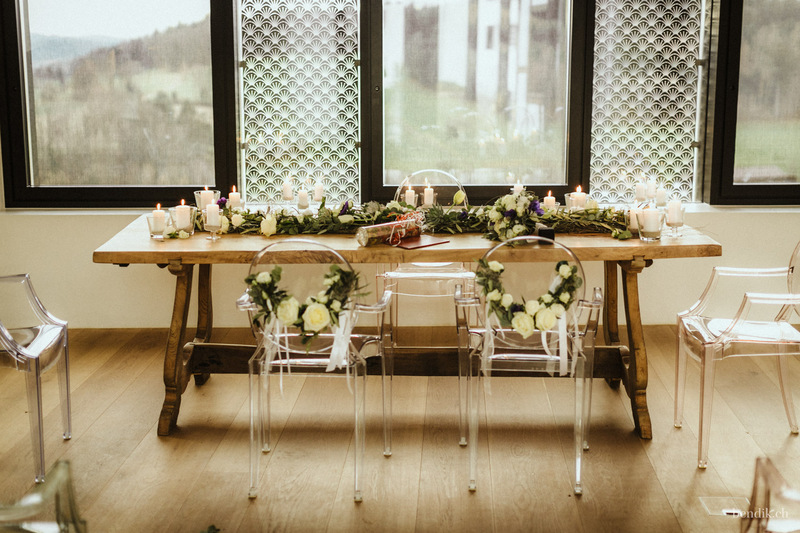 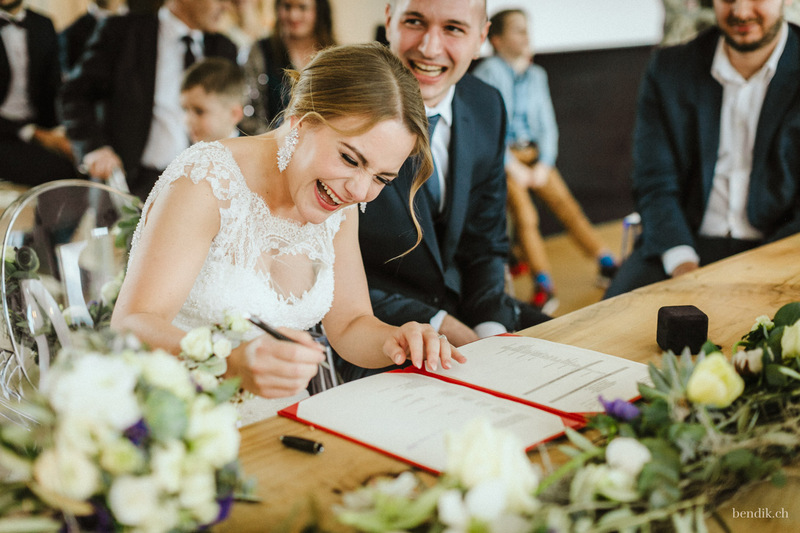 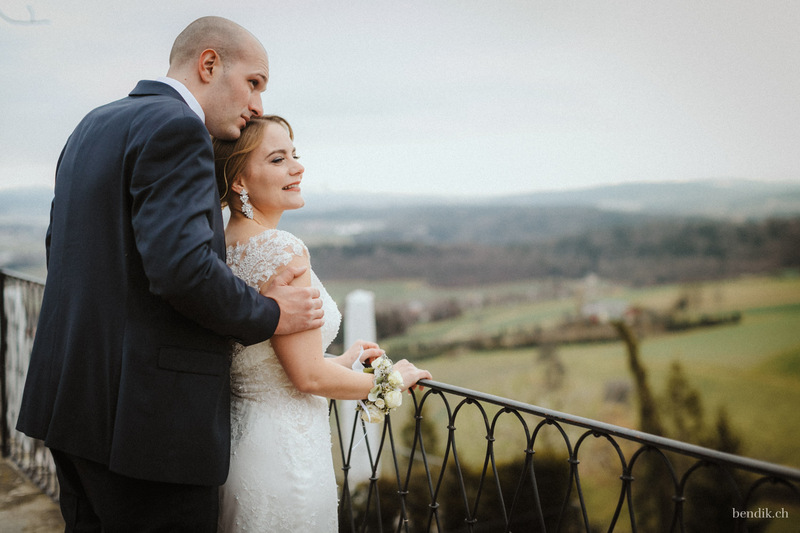 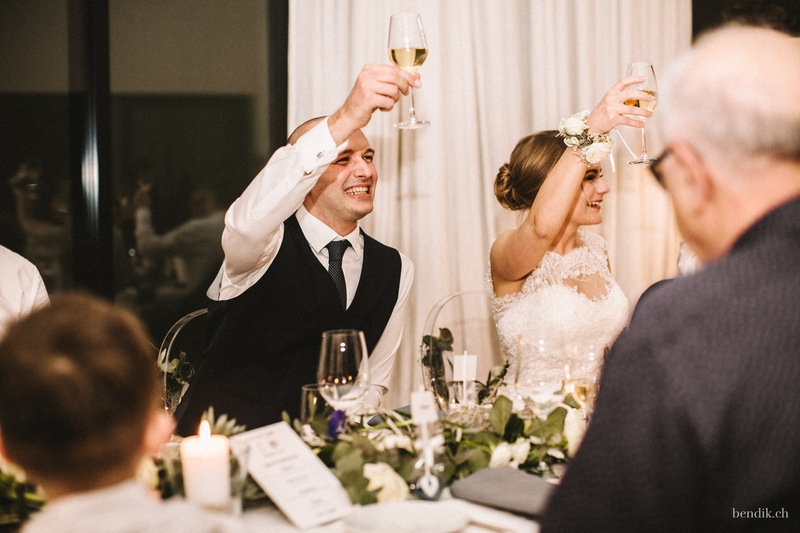 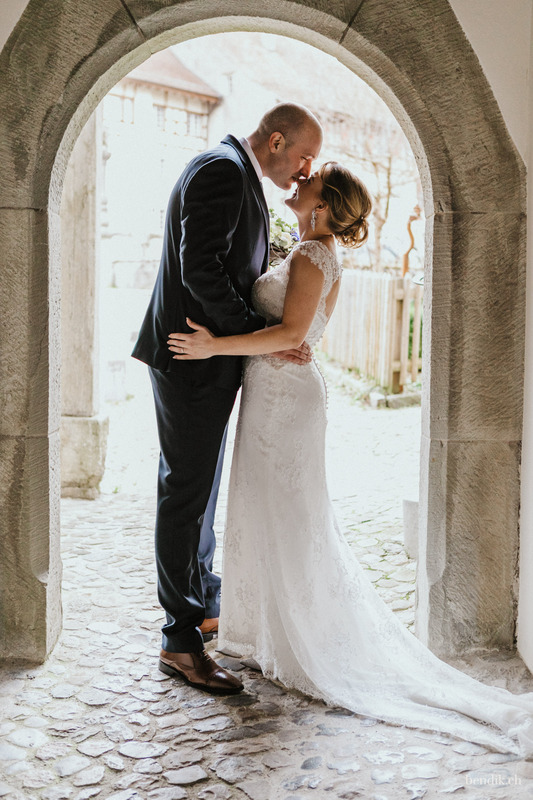 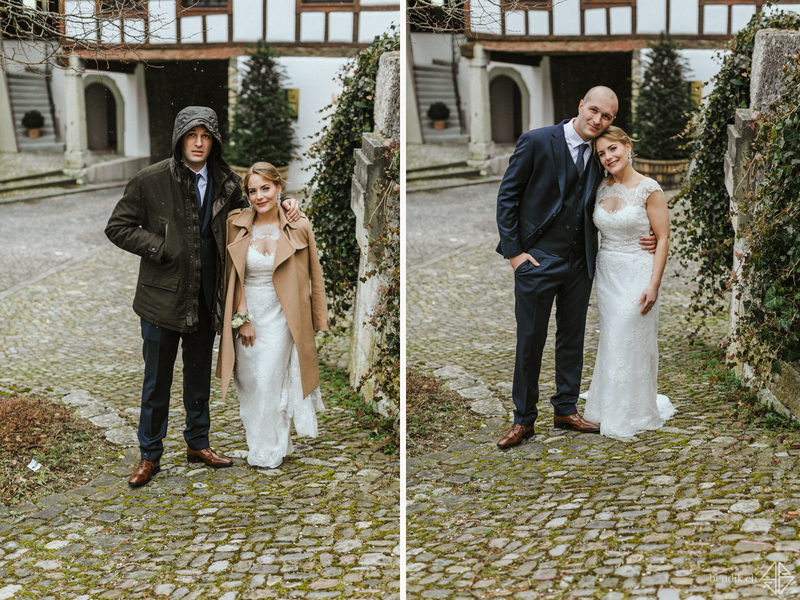 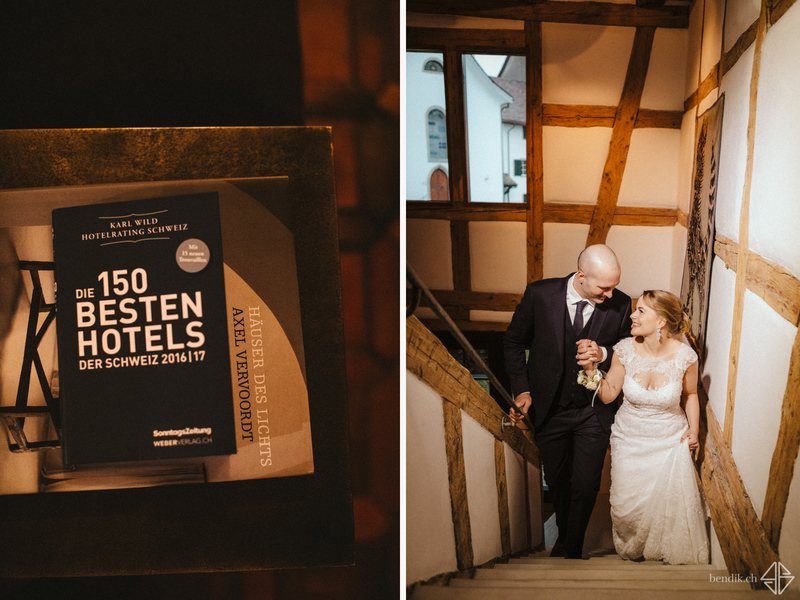 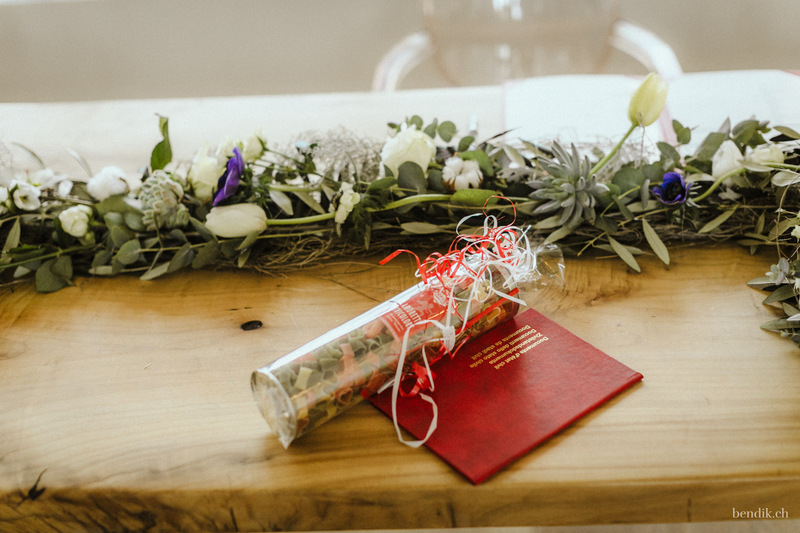 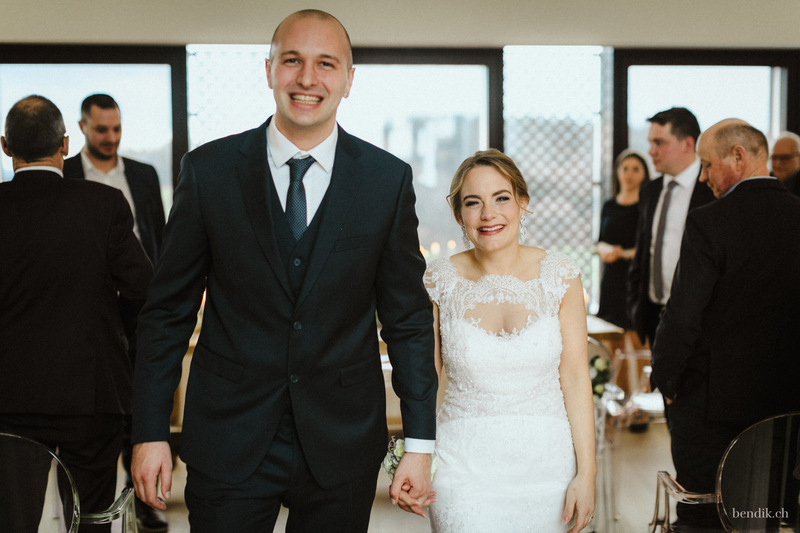 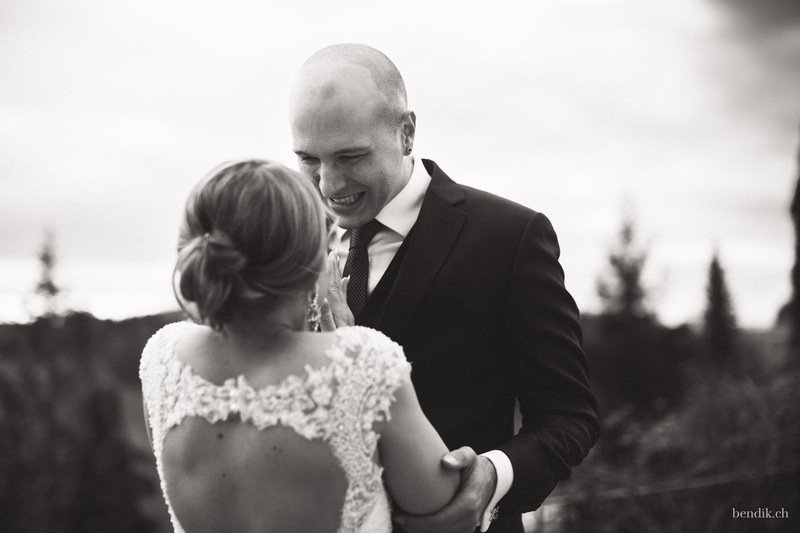 As we set off for their wedding on a beautiful day at the beginning of February, the cute old town of Regensdorf peeked out from among the vineyards. 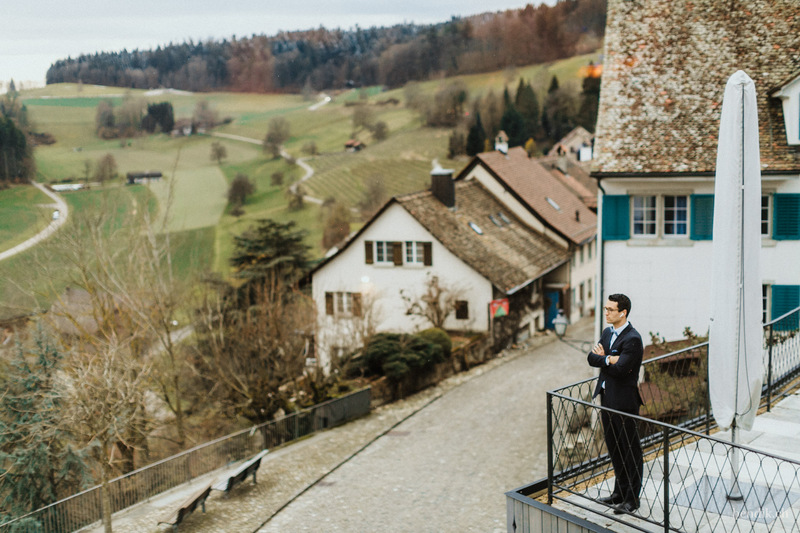 The view from Regensdorf itself, which lies on a hill in the Zurich Unterland, was even more breathtaking. 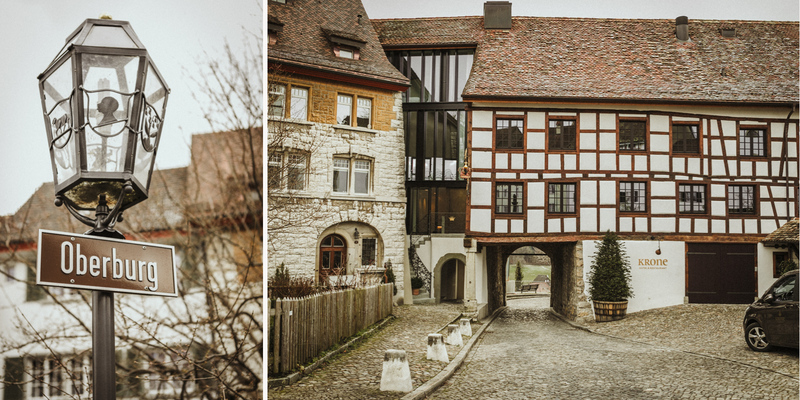 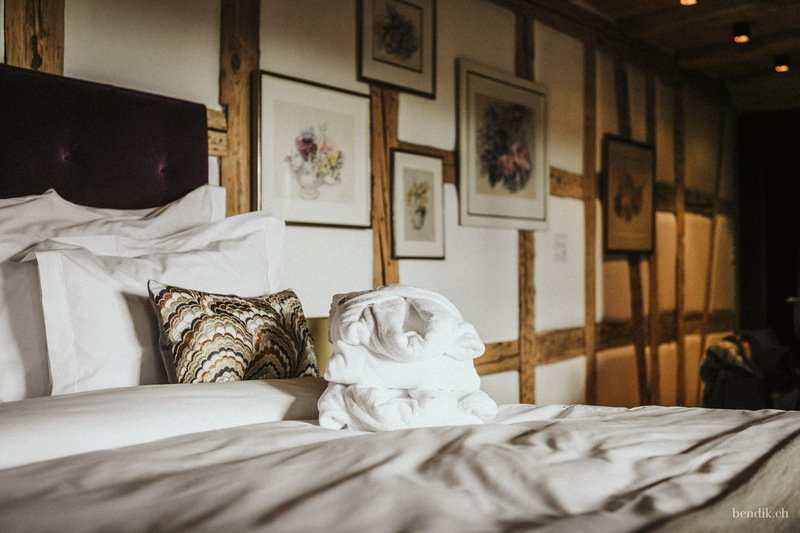 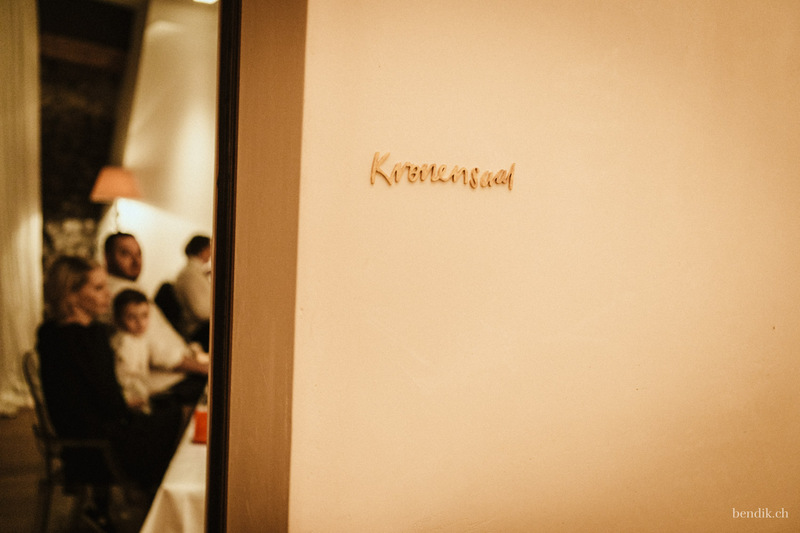 The Hotel Krone is located in the center of the old town of Regensdorf in a medieval house that has been renovated in a stylish and modern way. 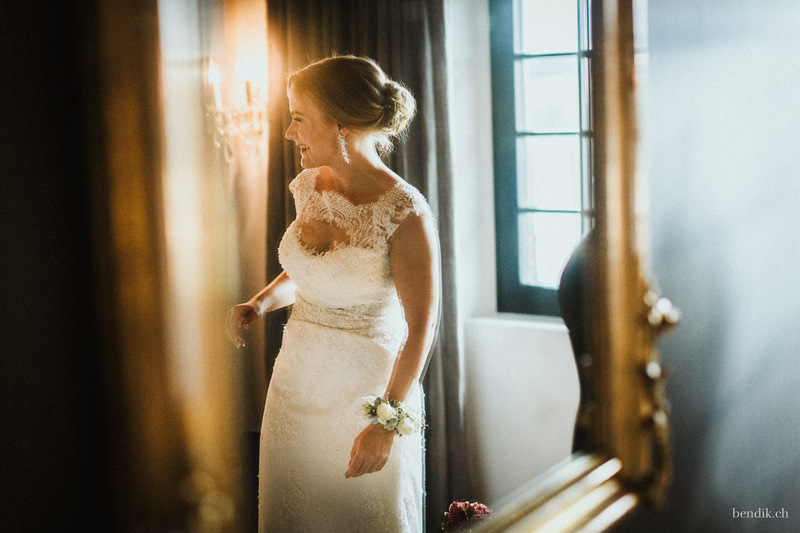 Quickly we scurried to the rooms of Tamara and Luca, both of whom were already preparing for their ceremony. 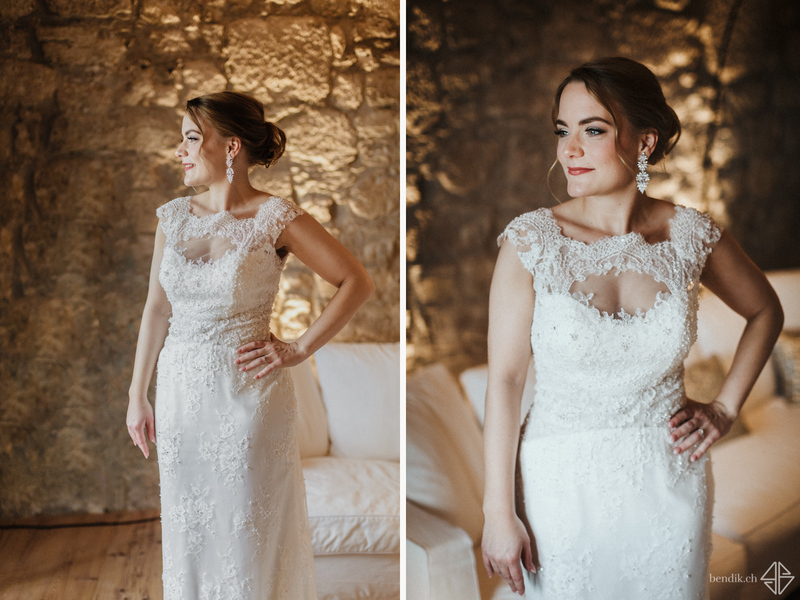 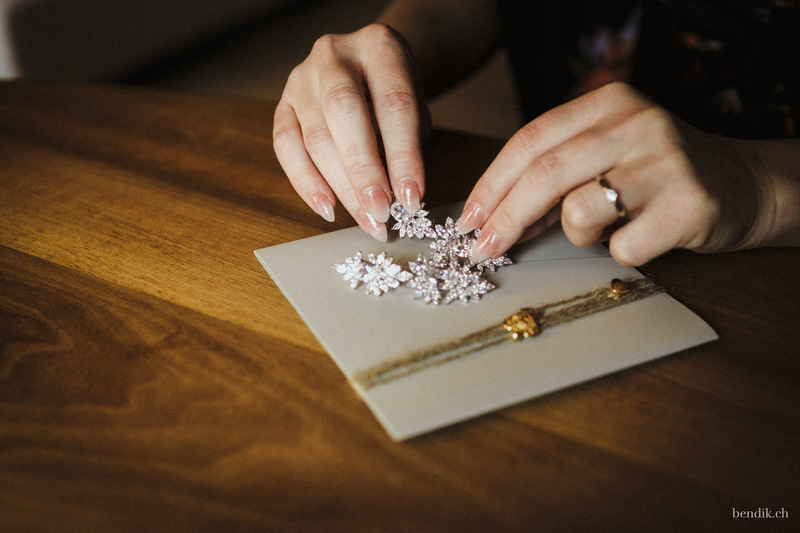 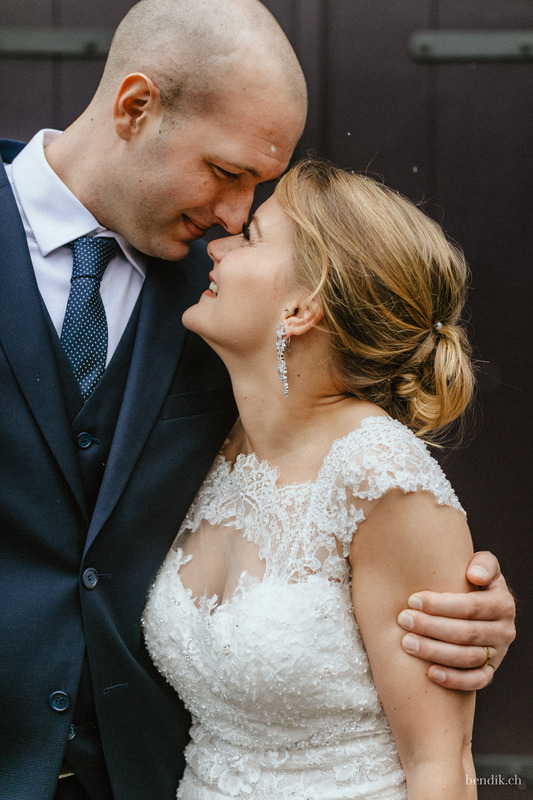 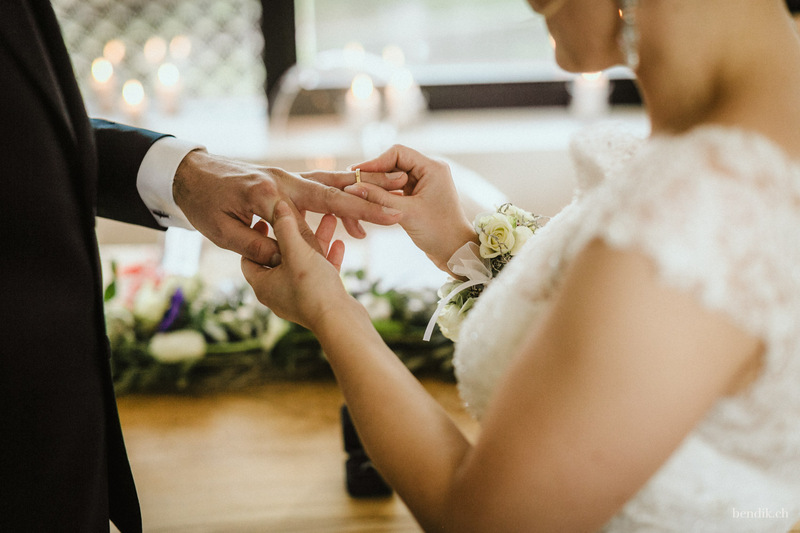 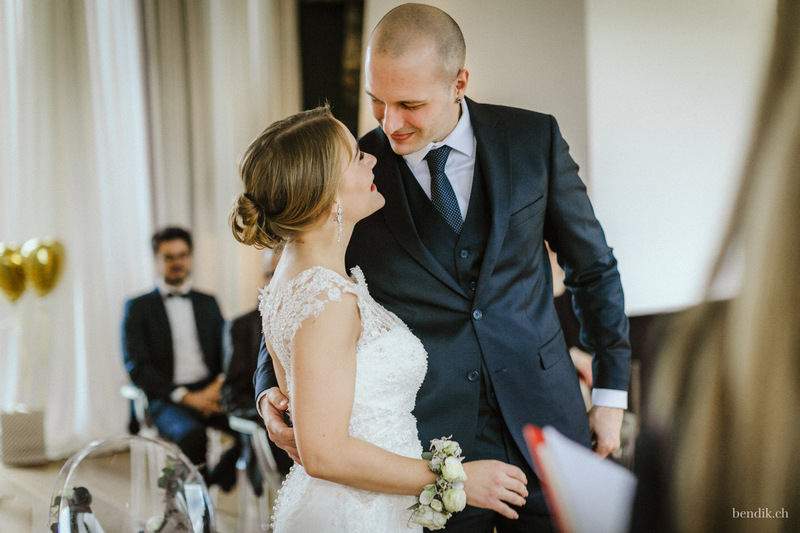 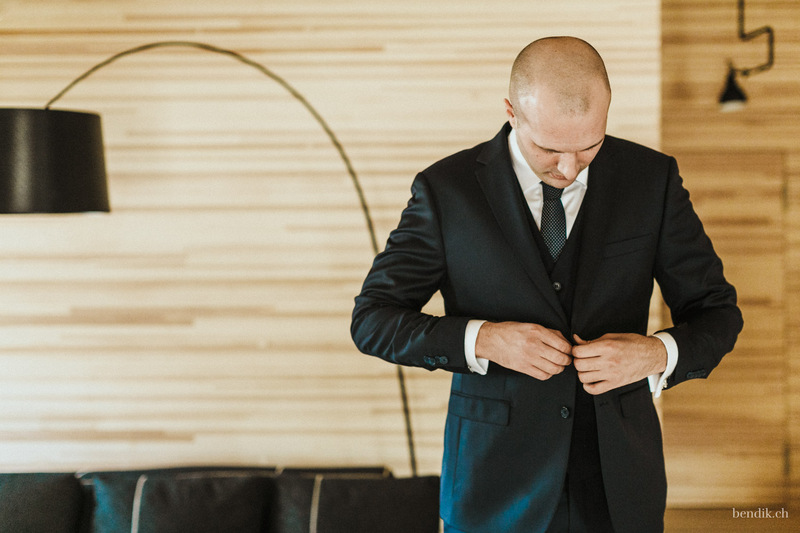 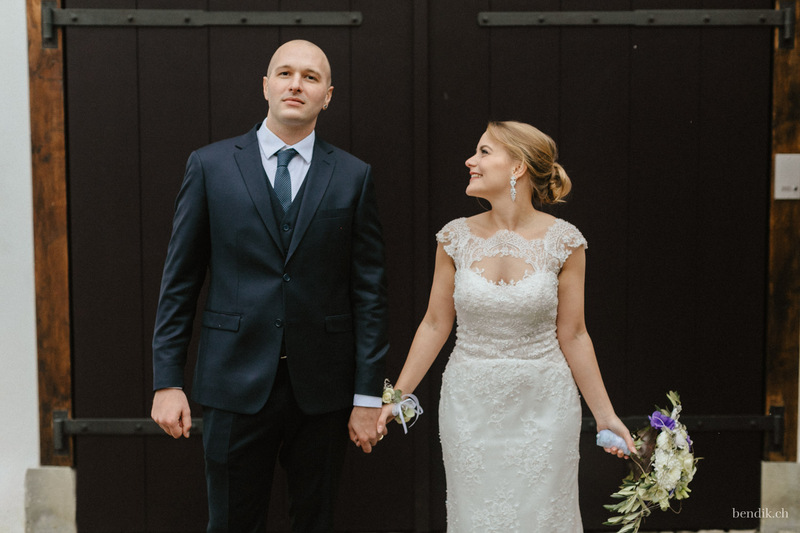 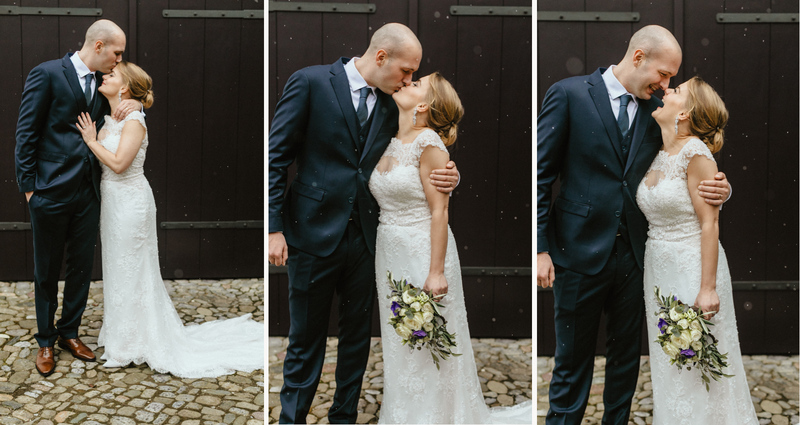 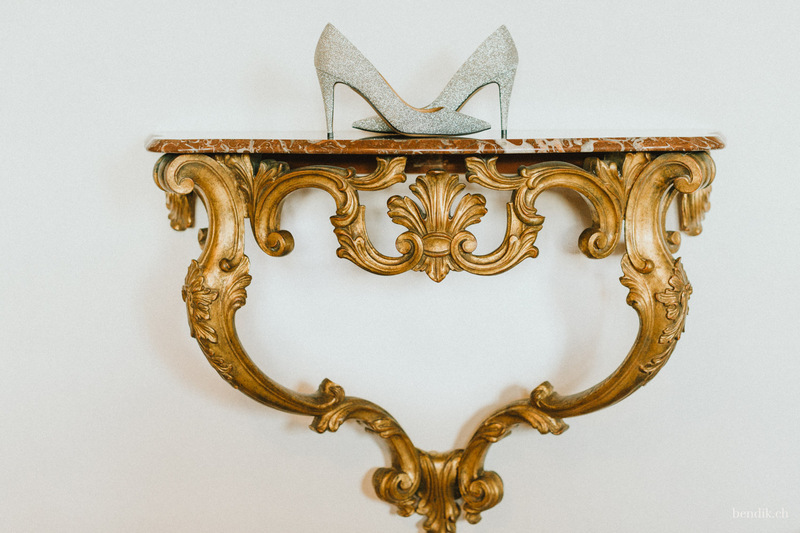 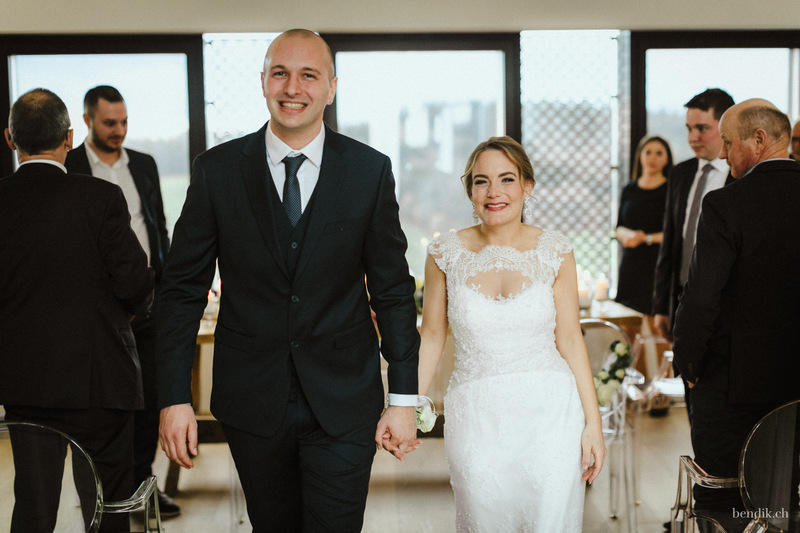 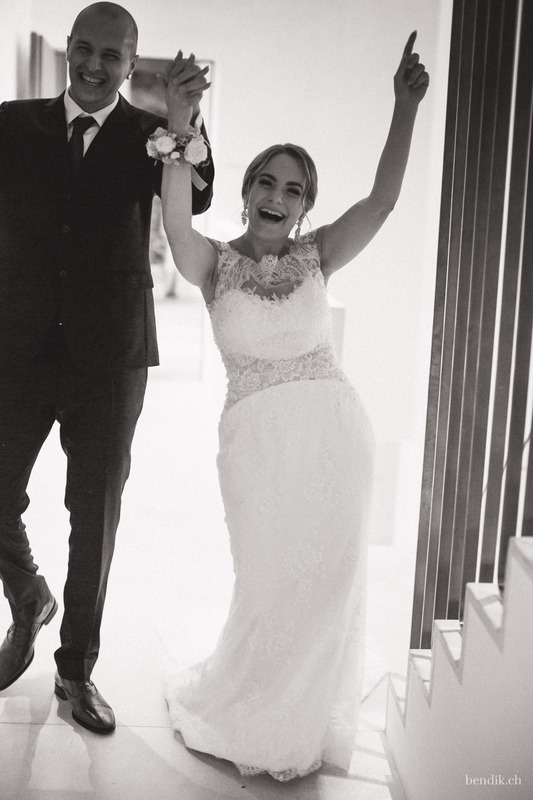 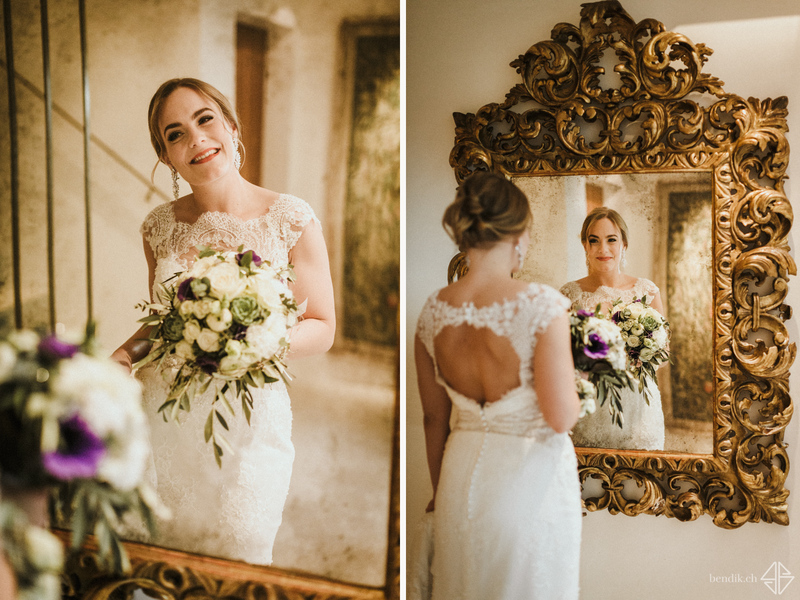 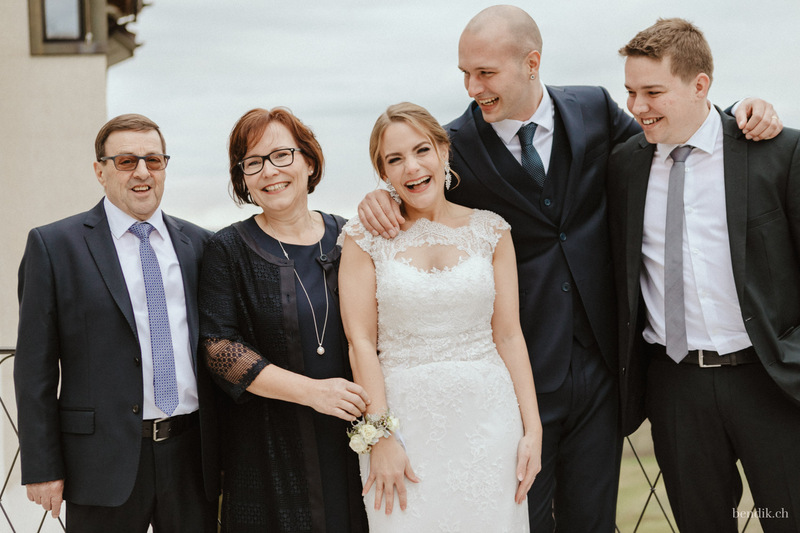 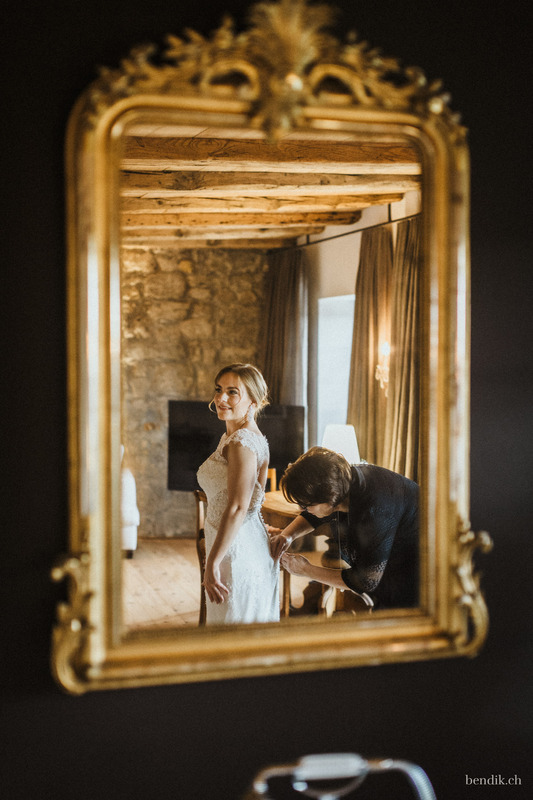 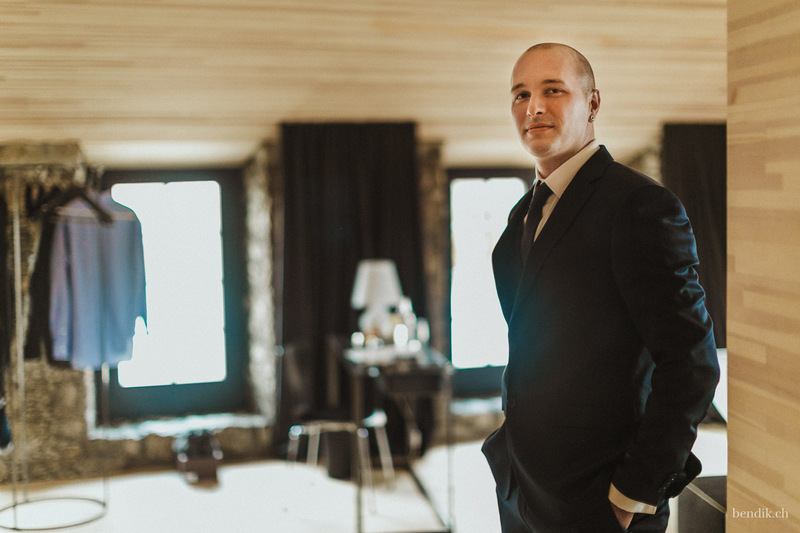 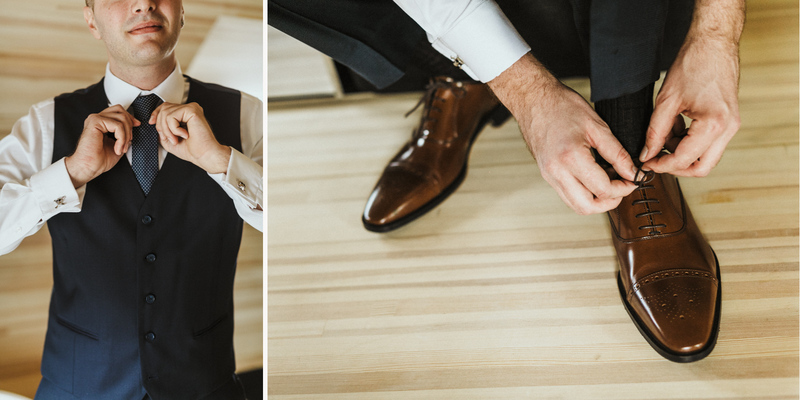 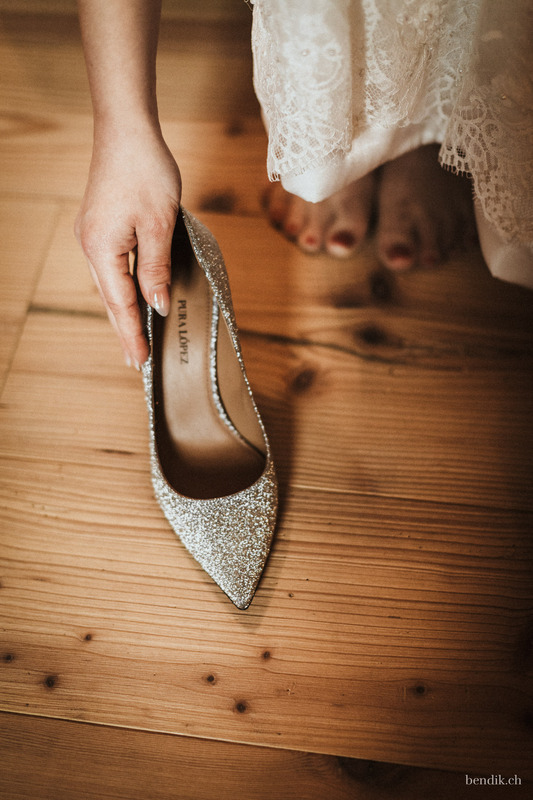 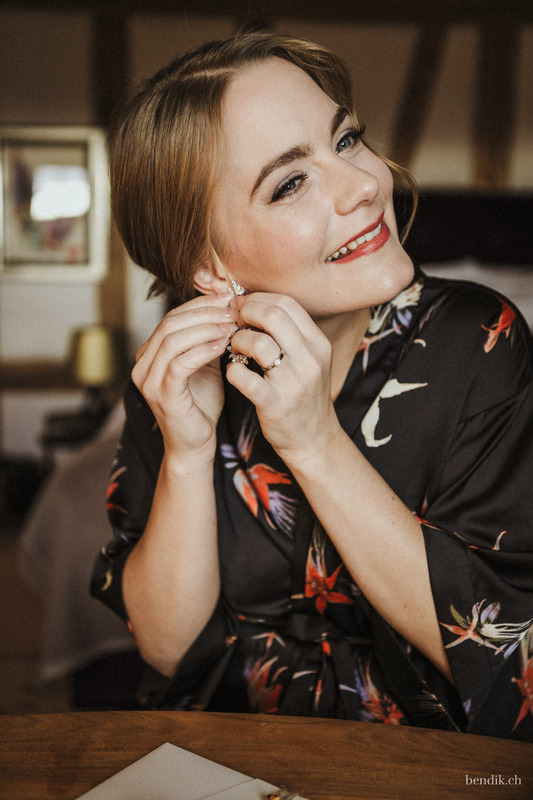 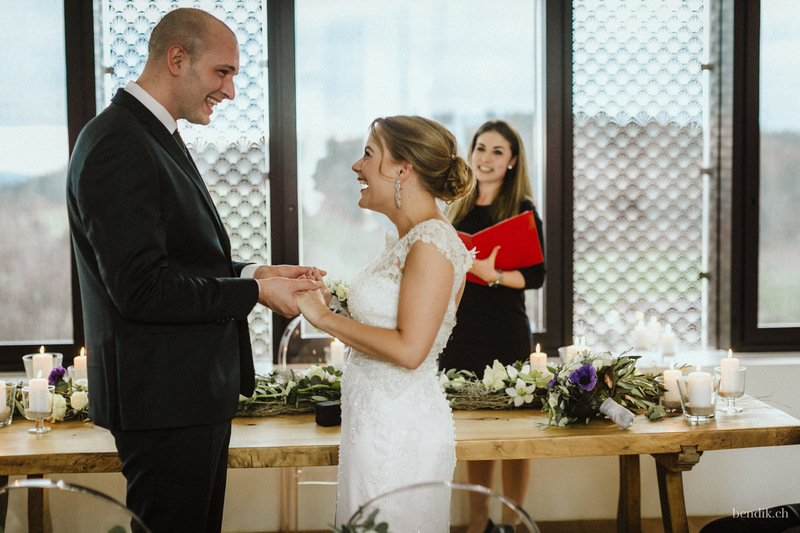 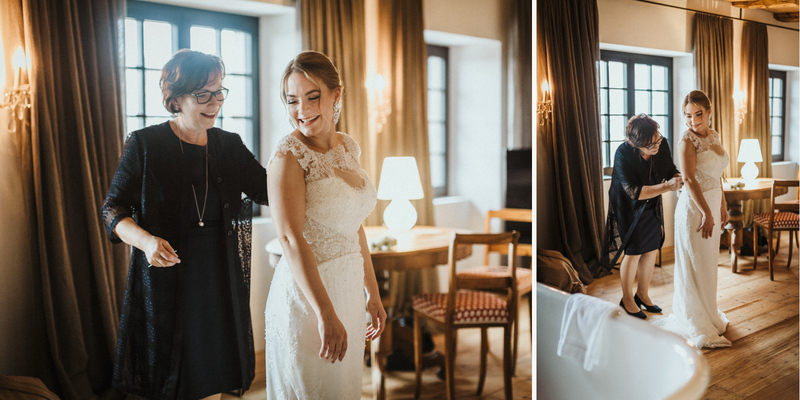 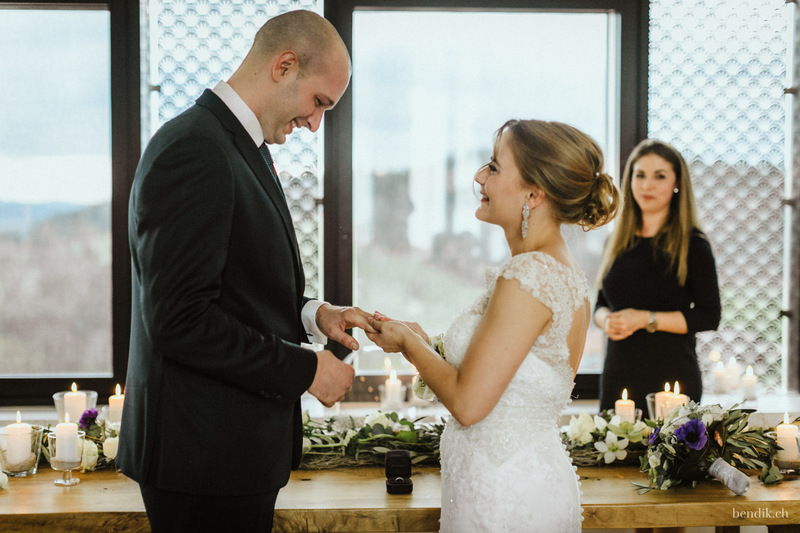 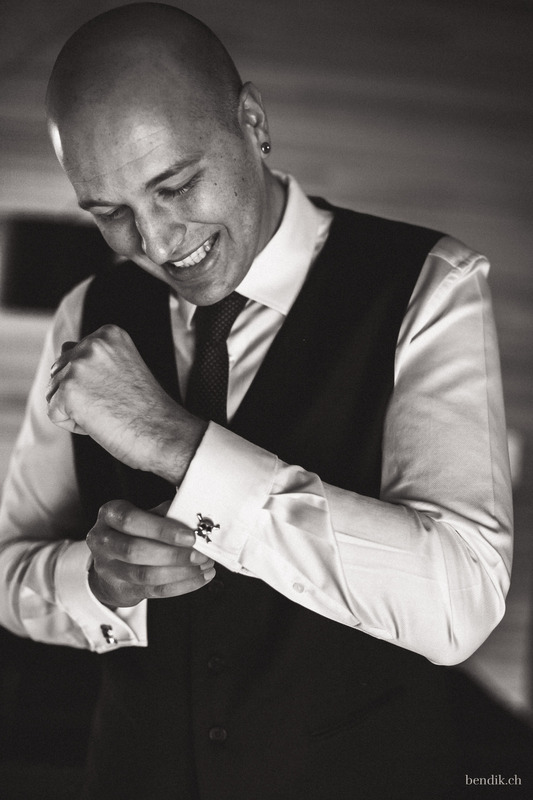 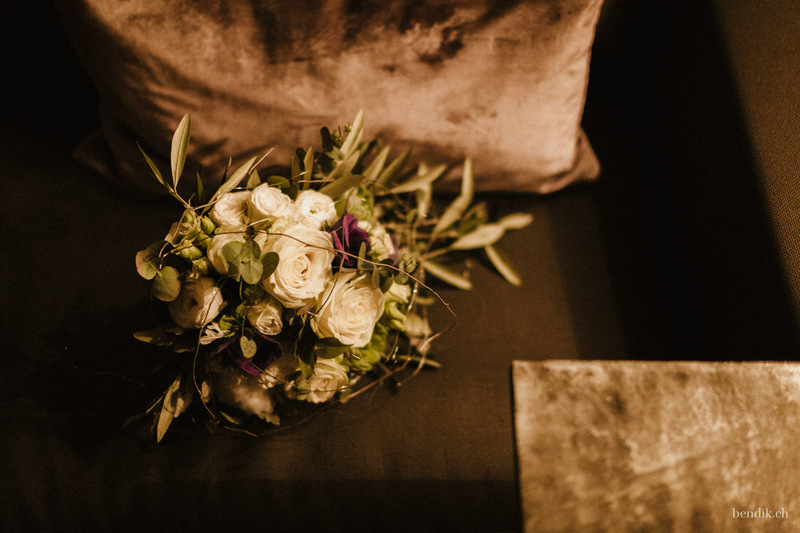 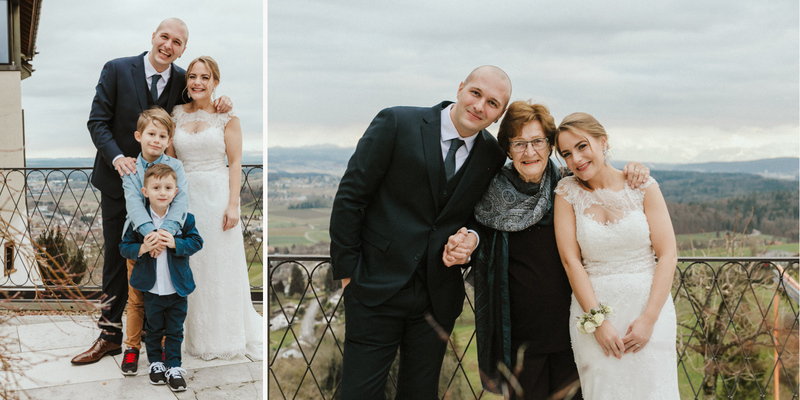 Tamara was already busily preparing for her big day with her mother in a light-filled suite, while Luca greeted us in his room with a broad grin, as he was already fully dressed when we came in. 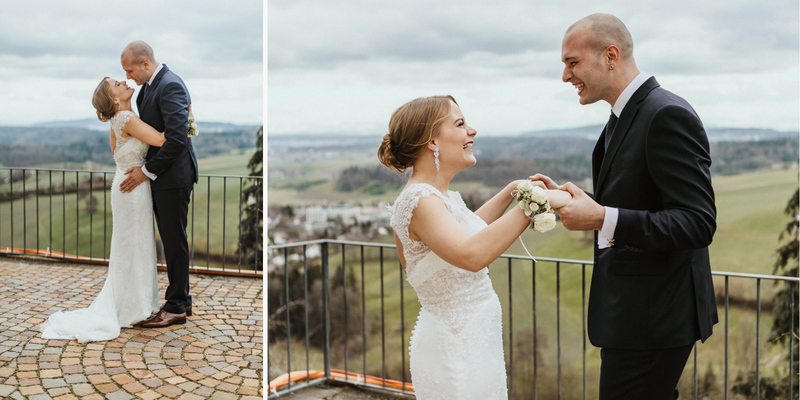 Their wedding photo shoot at the Hotel Krone Regensberg was about to begin! 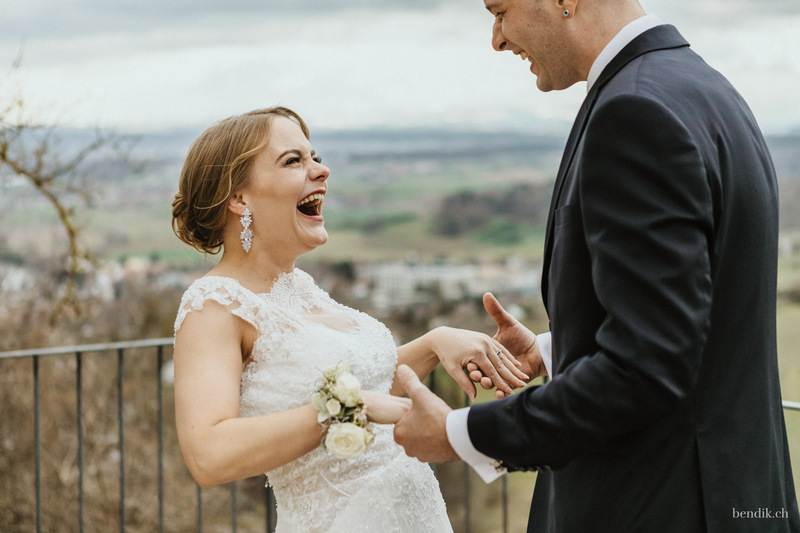 Fortunately, the two had decided to follow our advice for having a first look. 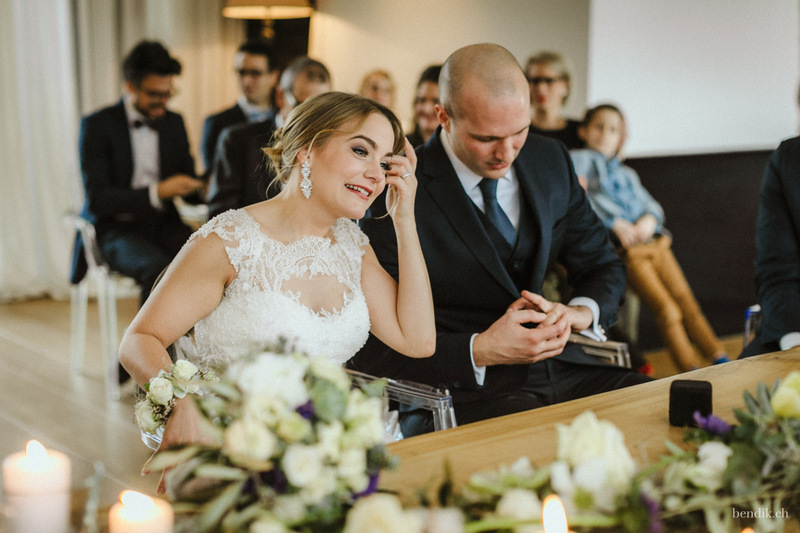 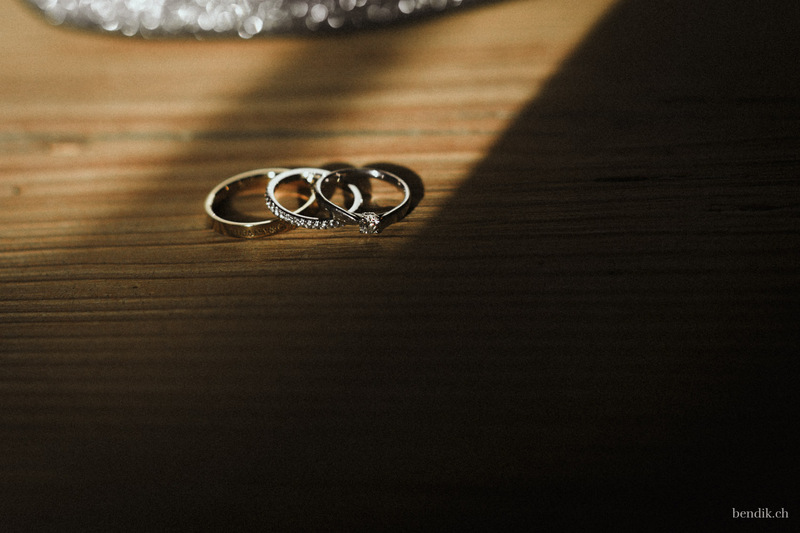 Explanation: During a first look, the wedding couple see each other for the first time before their wedding – a really very, very emotional moment that lasts for eternity. 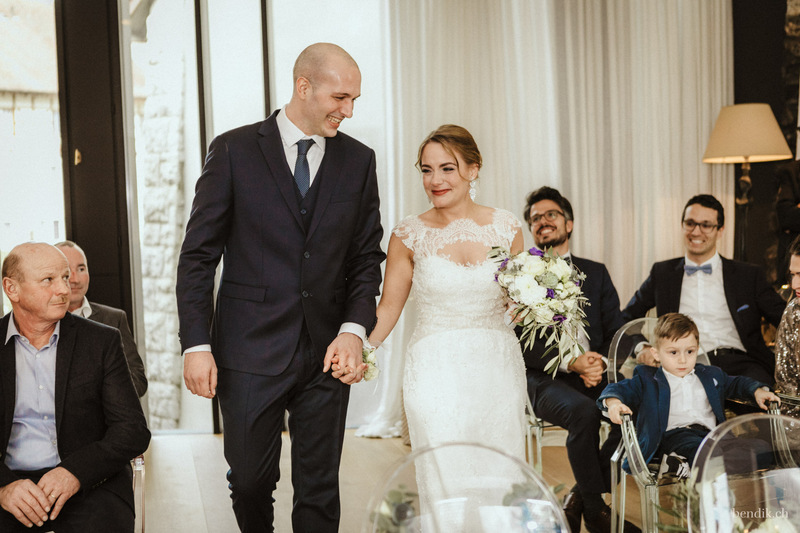 So we grabbed Luca quickly and took him to one of the city gates, where we made him wait for Tamara. 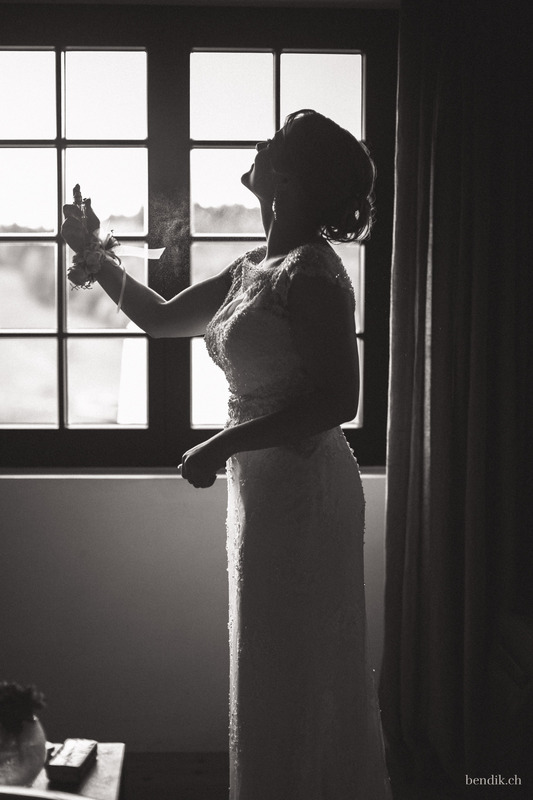 Tamara, meanwhile, was still getting ready, which, of course, only increased the tension …. 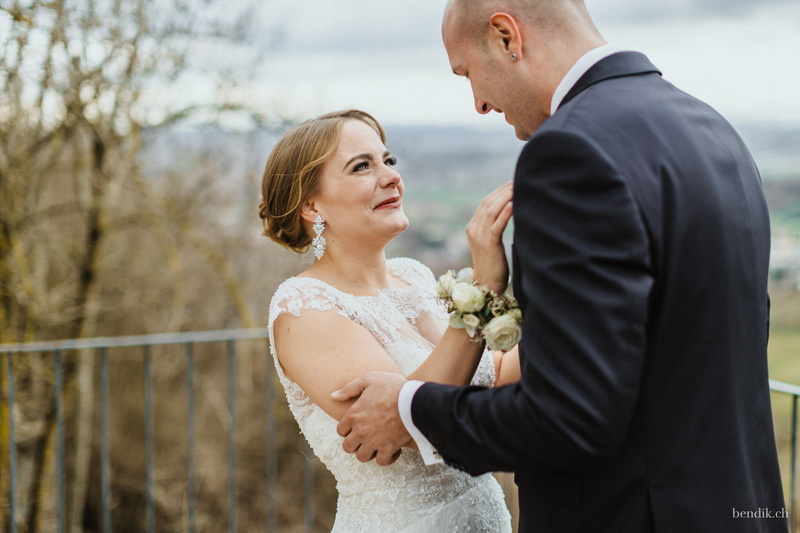 When Tamara finally appeared, with tears in her eyes, in her Maggie Sotero wedding dress, we first led her behind Luca’s back. 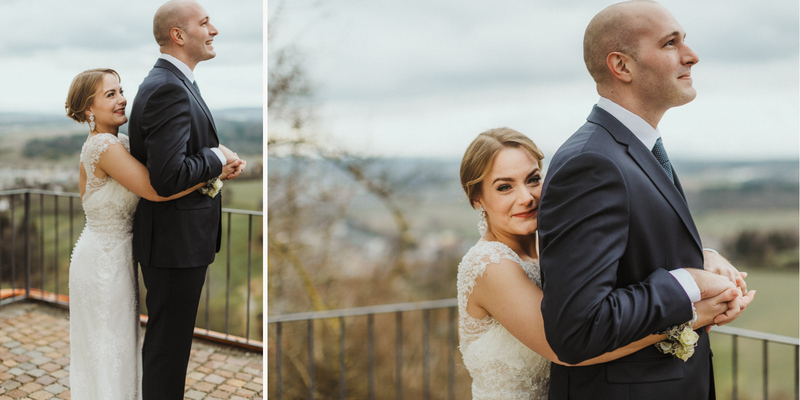 Shaking, due to both cold and excitement, we slowly turned Luca around until he and Tamara could finally embrace each other. 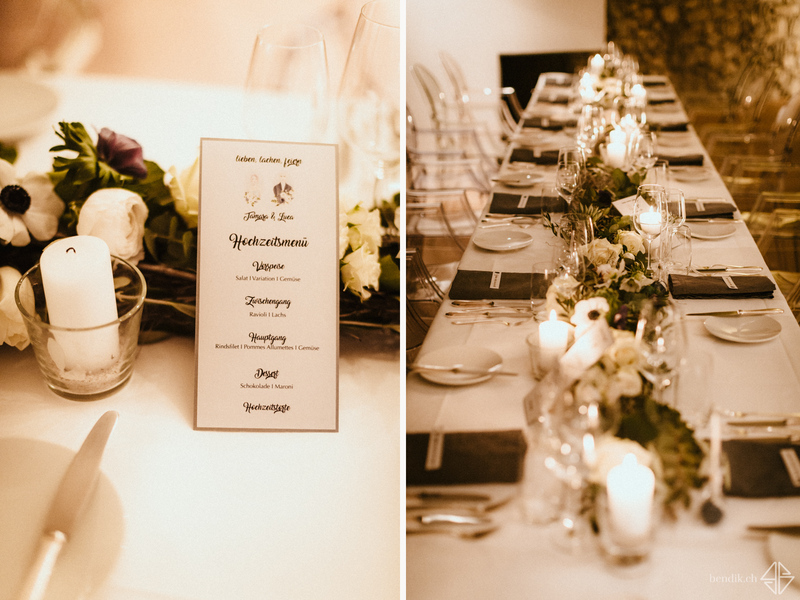 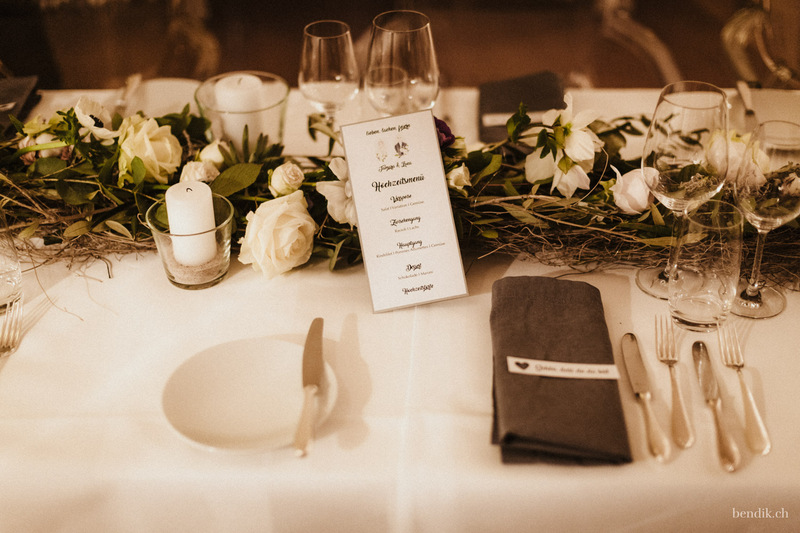 The civil ceremony of the two took place in the elegant Kronensaal, which is also an official wedding room for civil weddings. 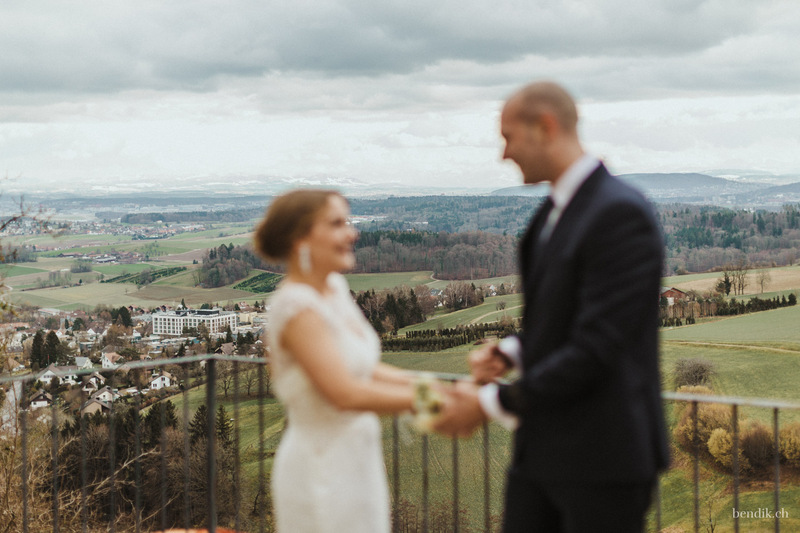 As became common on this day, this event took place in front of a wonderful panoramic view of the Zurich Unterland. 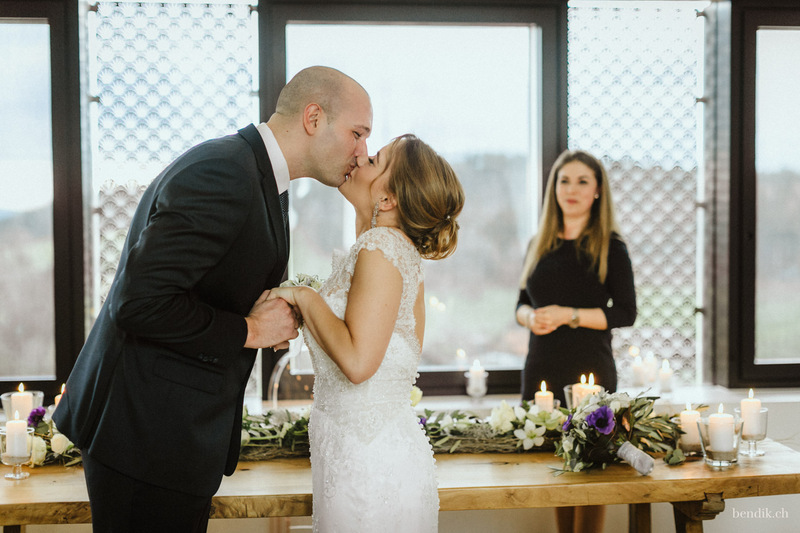 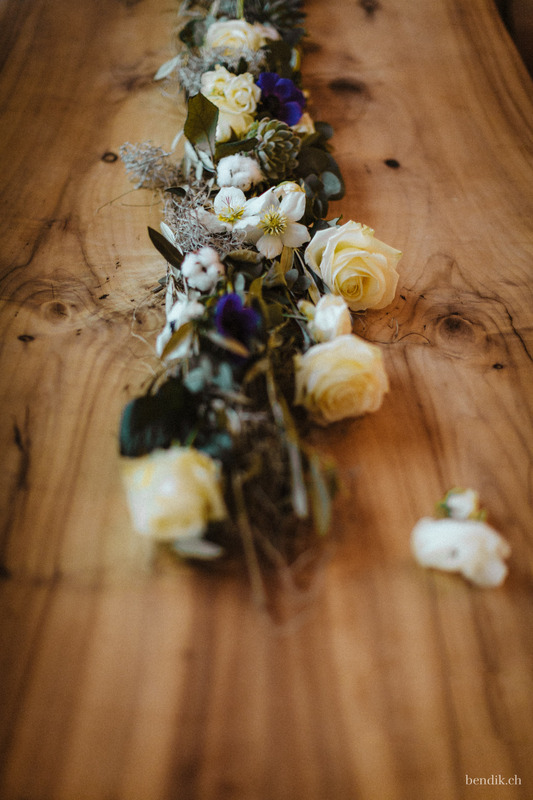 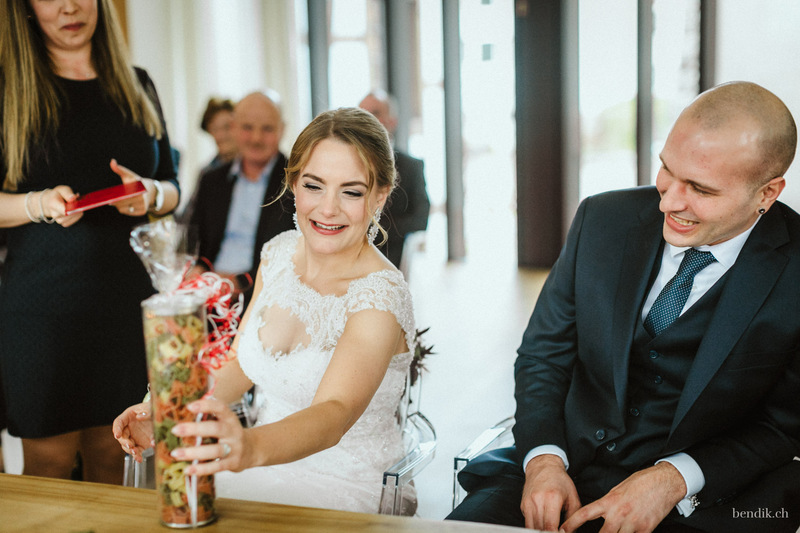 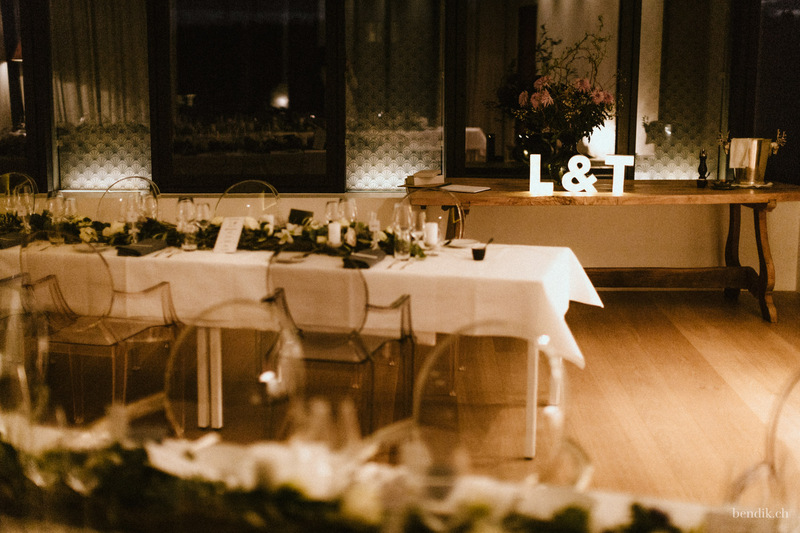 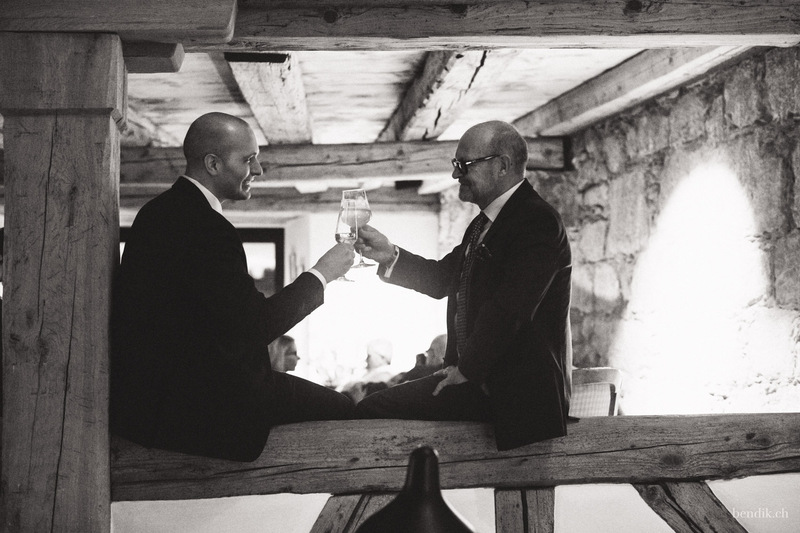 The relaxed, cordial mood of those present literally flooded the room, as Luca and Tamara said “I do”. 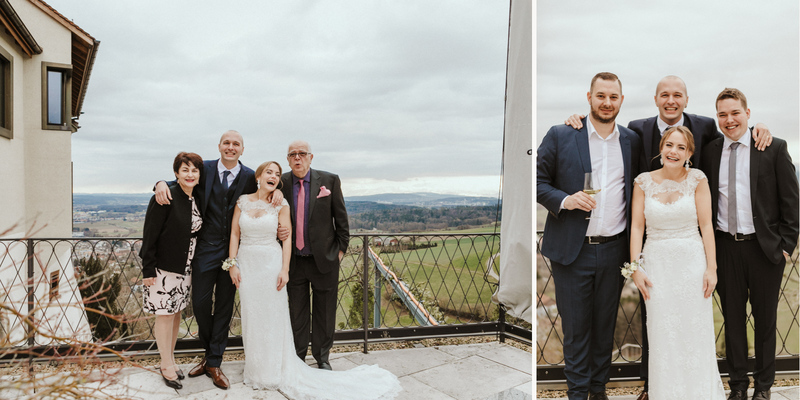 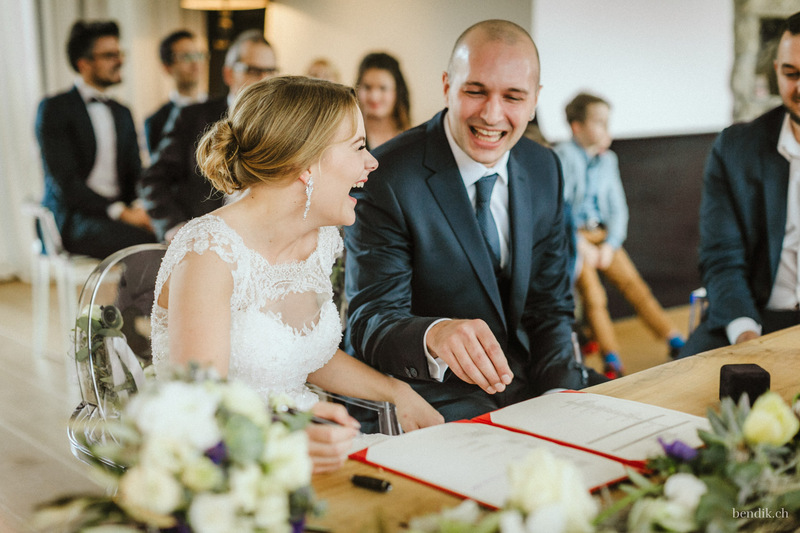 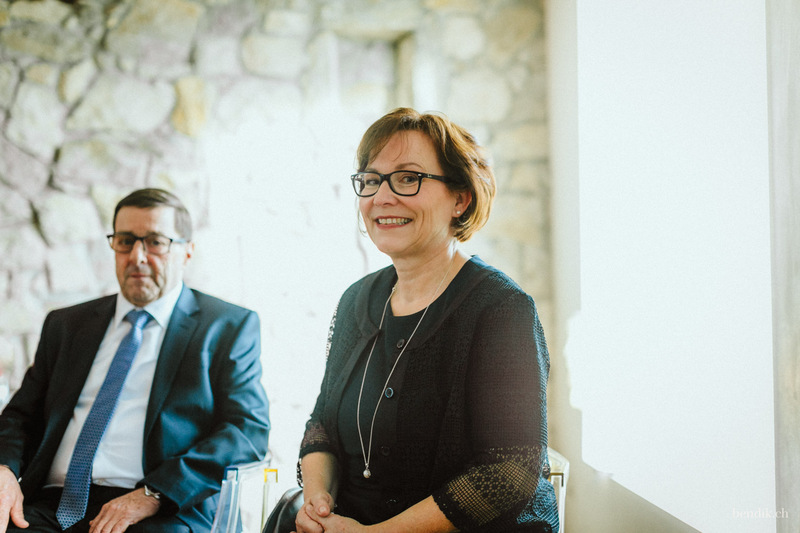 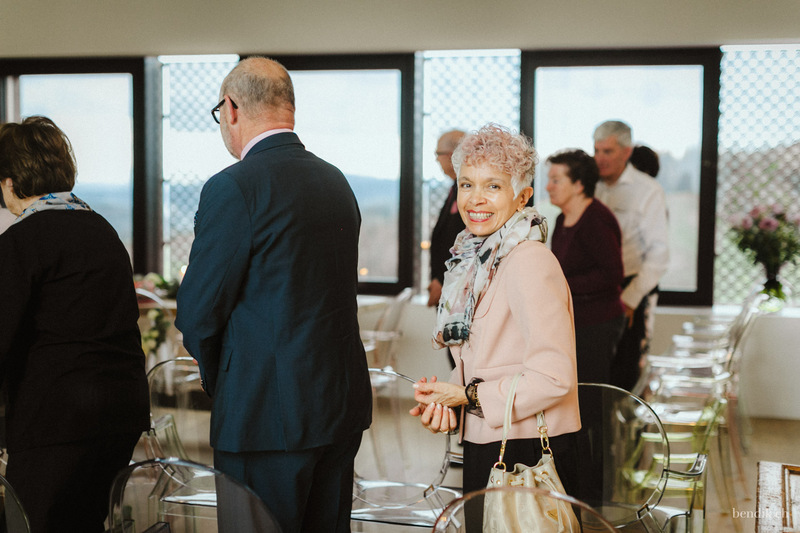 After the ceremony, the wedding party moved to the ground floor of the Hotel Krone for aperitifs with lots of laughter and jokes: another highlight. 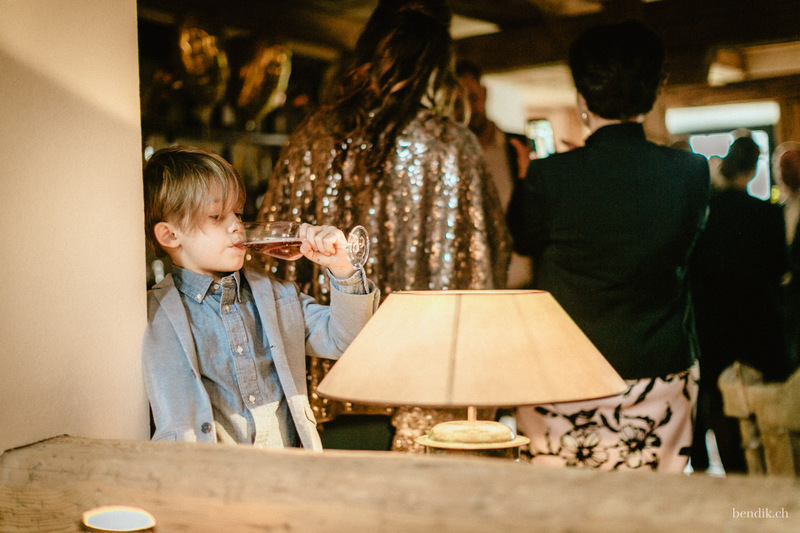 We were convinced that a musical genius must have compiled the playlist for the aperitif. 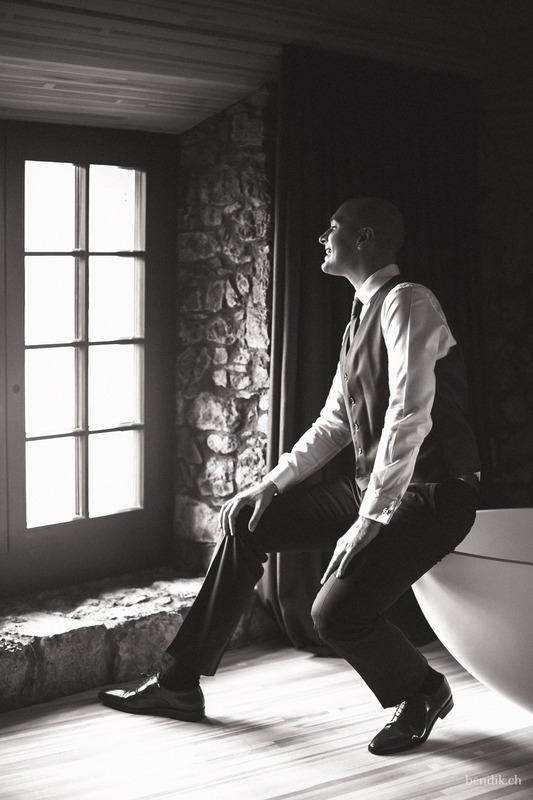 This genius turned out to be Luca himself, who really knows how to mix boogie, blues, jazz and funk. 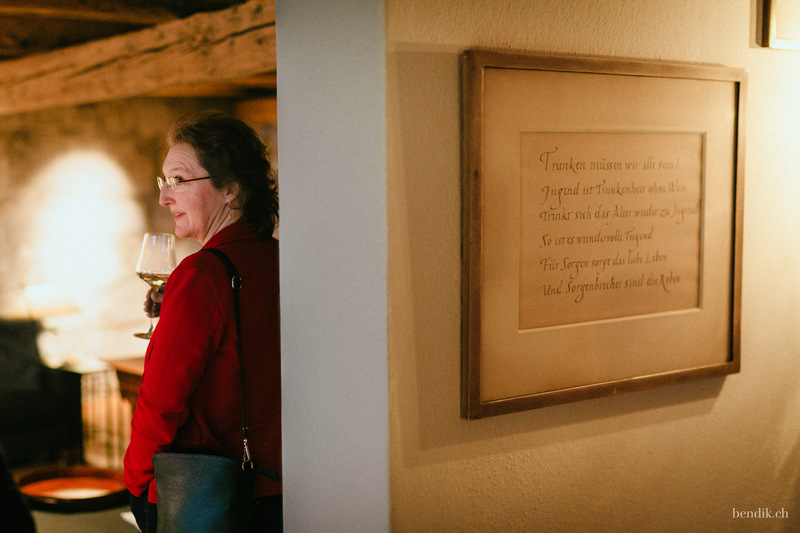 This heavenly music accompanied us throughout this very plesant and elegant aperitif. 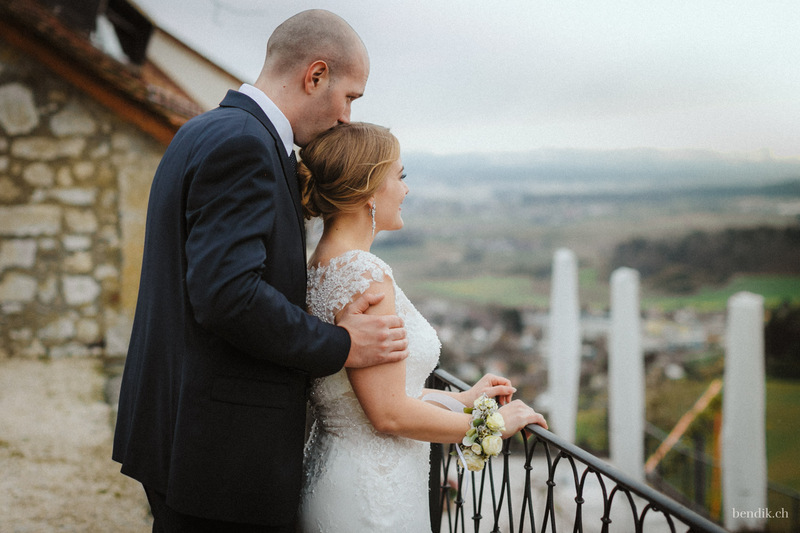 We completed our photo reportage with photos of the couple and their family and friends, again in front of the fantastic panorama. 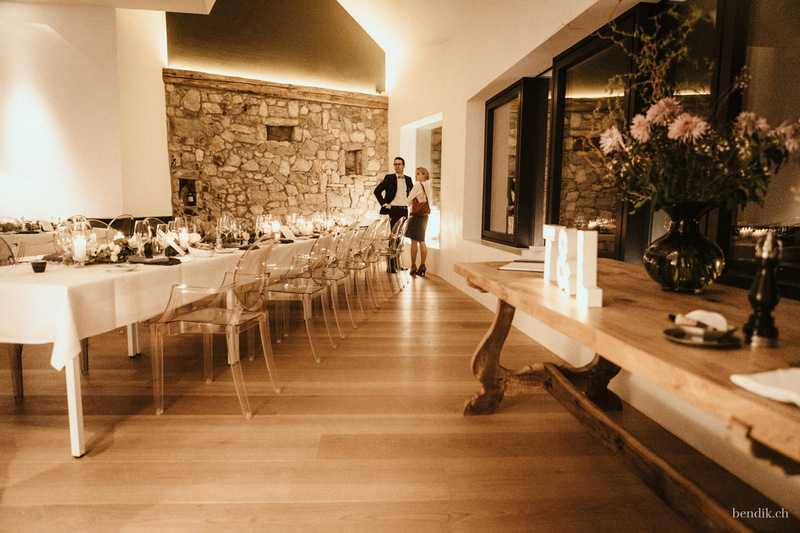 The food was about to be served soon! 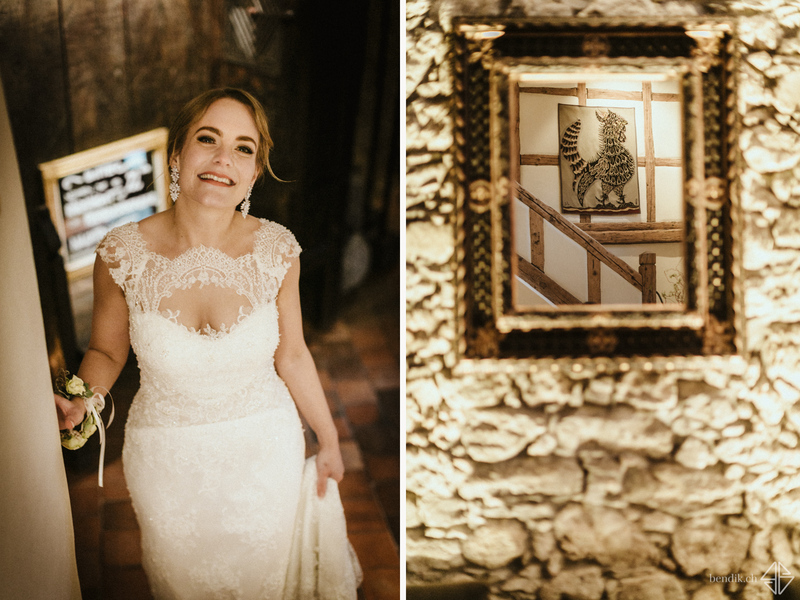 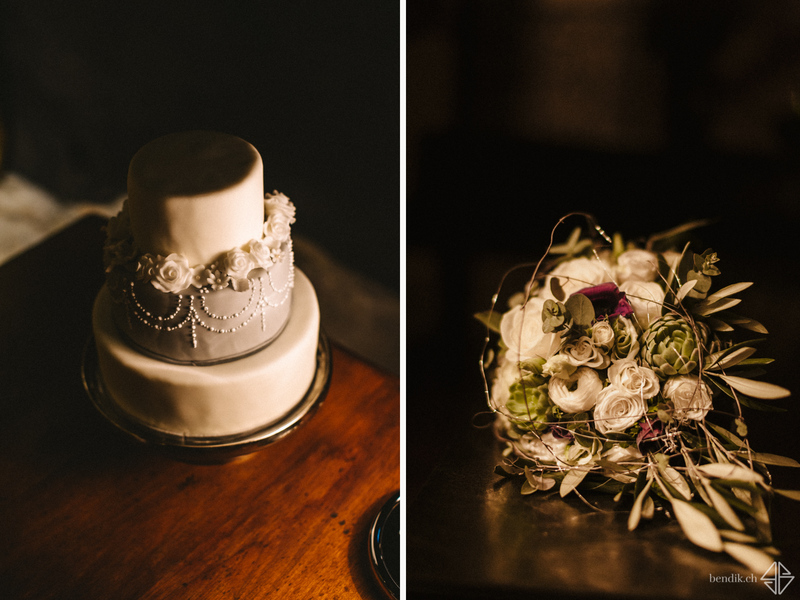 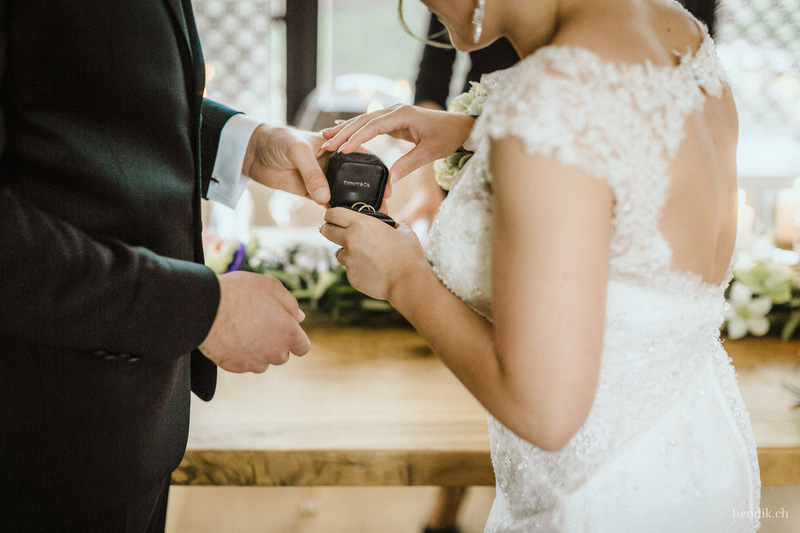 For us the starting signal to capture the beautiful scenery of the wedding dinner and – we were lucky! 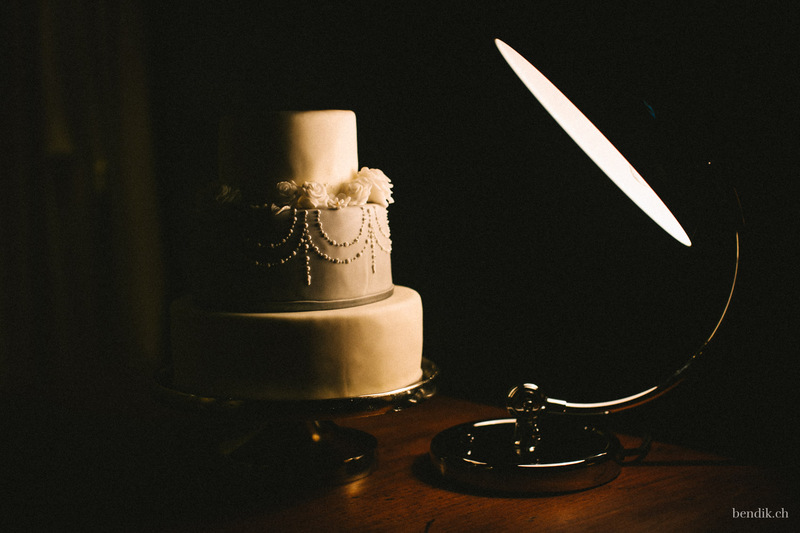 – to quickly immortalize the wedding cake. 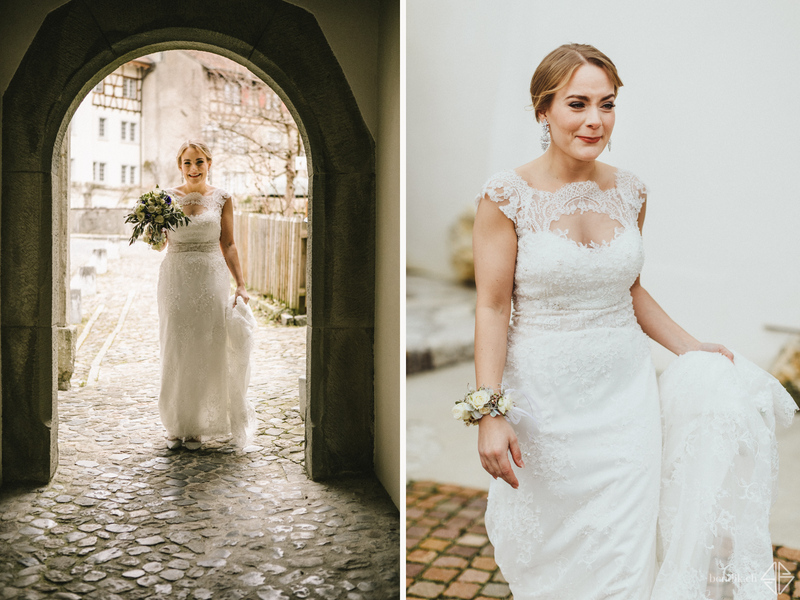 Our wedding photo shoot in the Hotel Krone Regensberg was over and we departed wistfully. 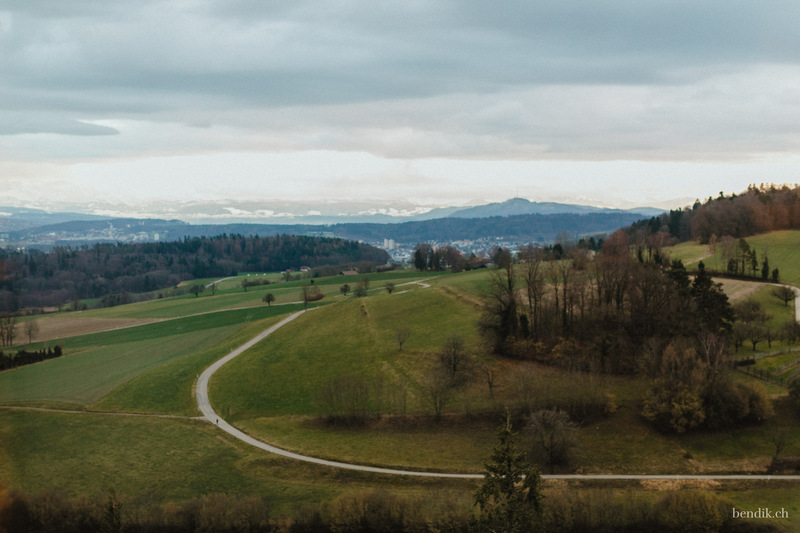 During the ride home on this heavenly winter evening we slipped into a wonderful mixture of melancholy and joyful optimism. 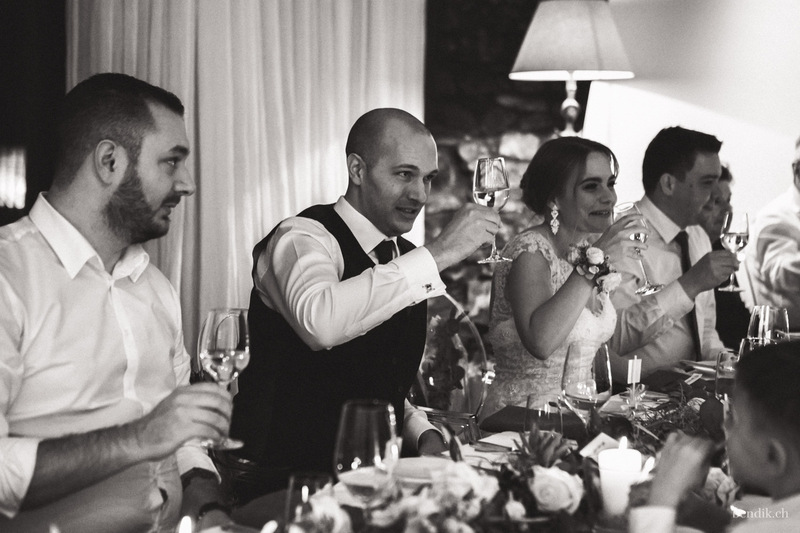 Tamara and Luca are really a very nice and elegant couple. 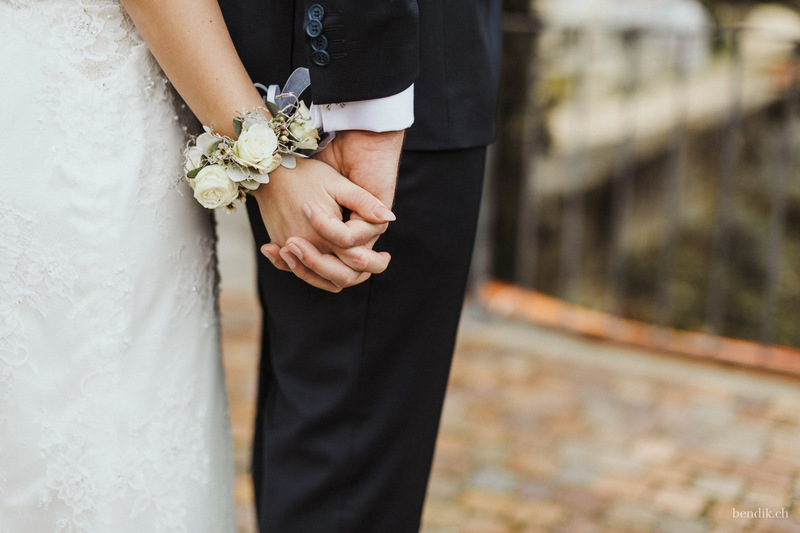 We want to, from the bootom of our hearts. 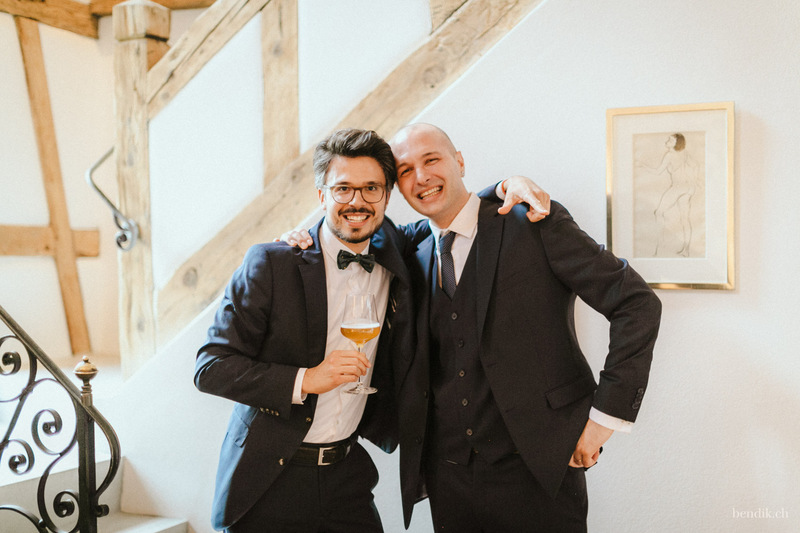 wish you all the best for the future!